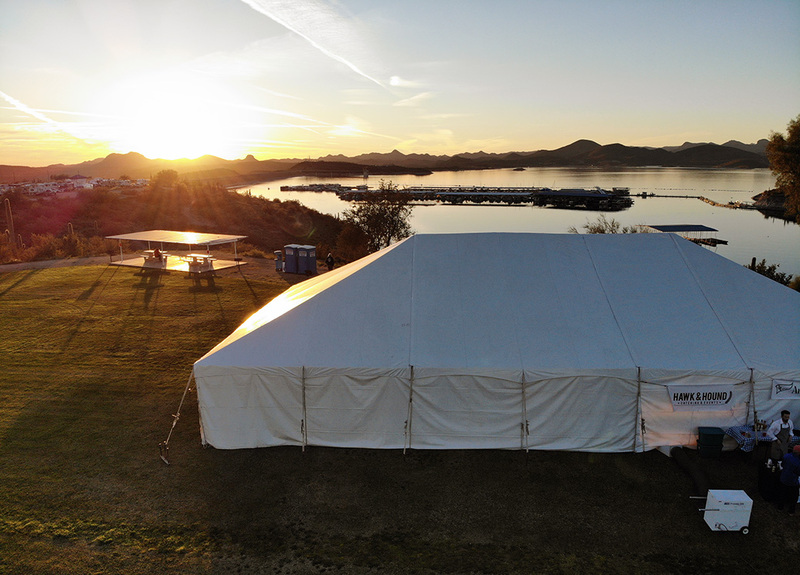 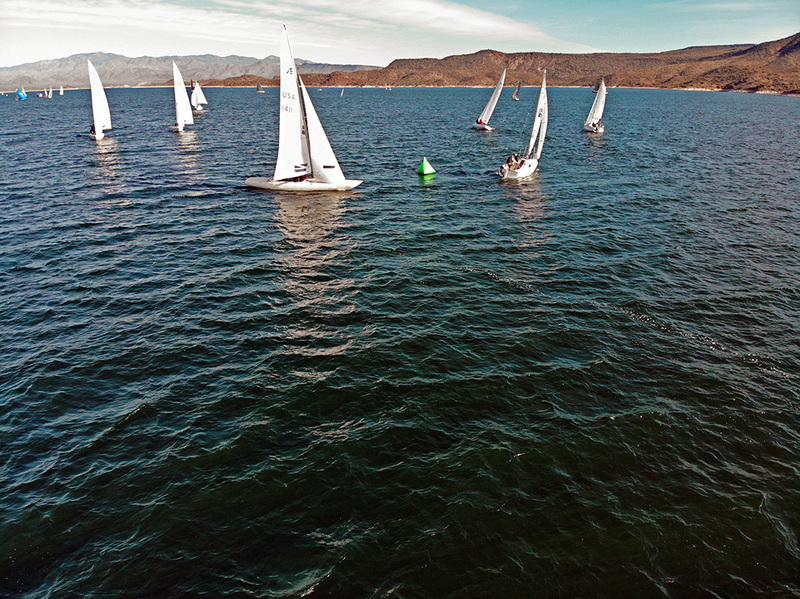 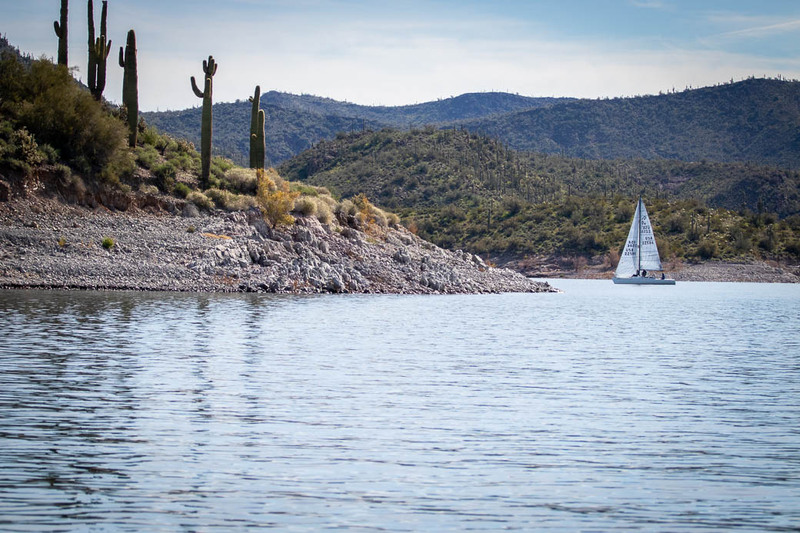 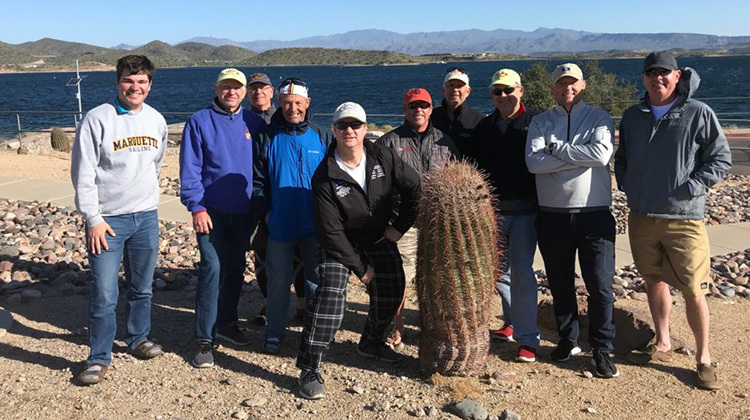 Lake Pleasant threw a variety pack of wind at us the weekend of March 9-10: you know, the no-wind, lots of wind, shifty wind, and (thank you) nice wind. 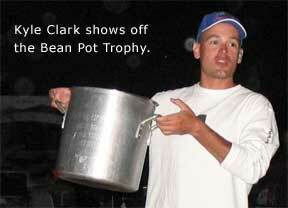 Just to see if we were paying attention. 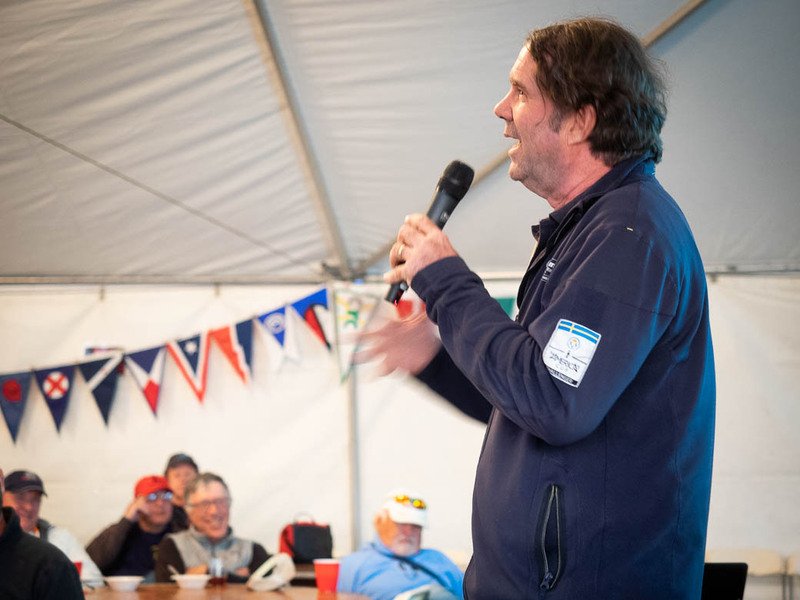 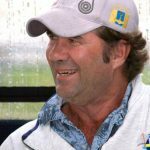 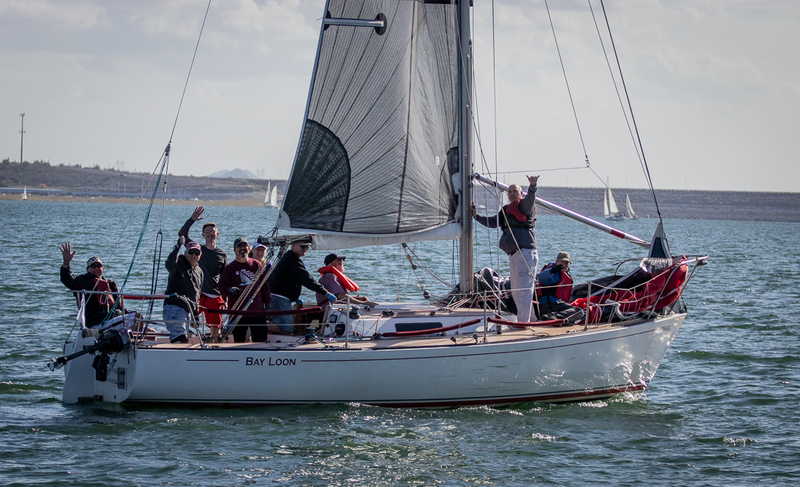 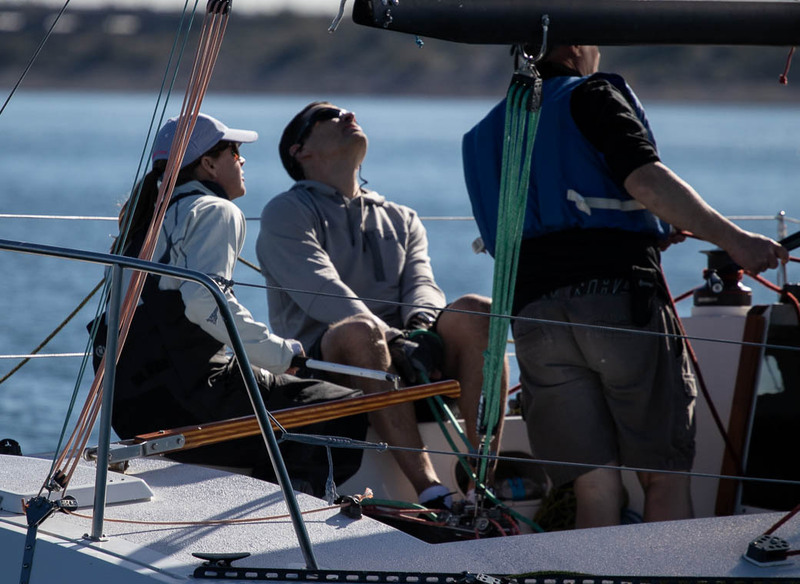 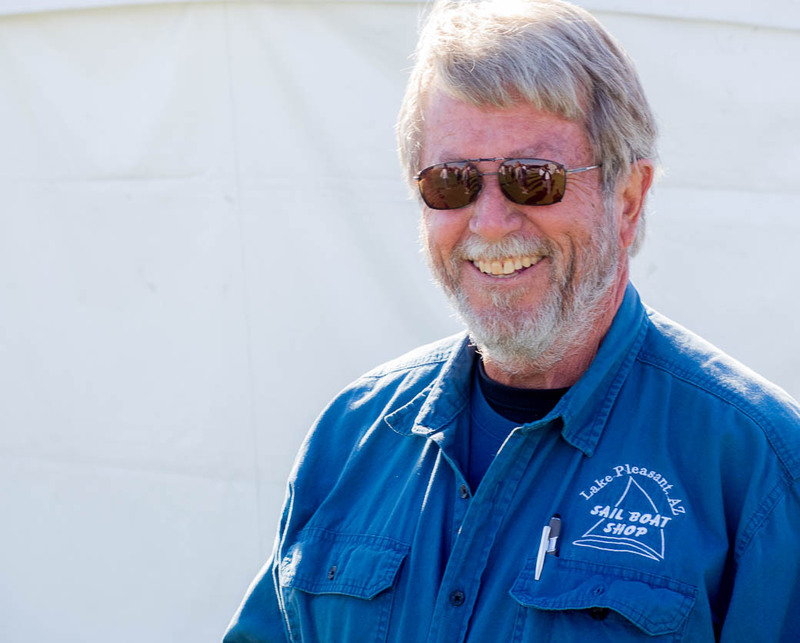 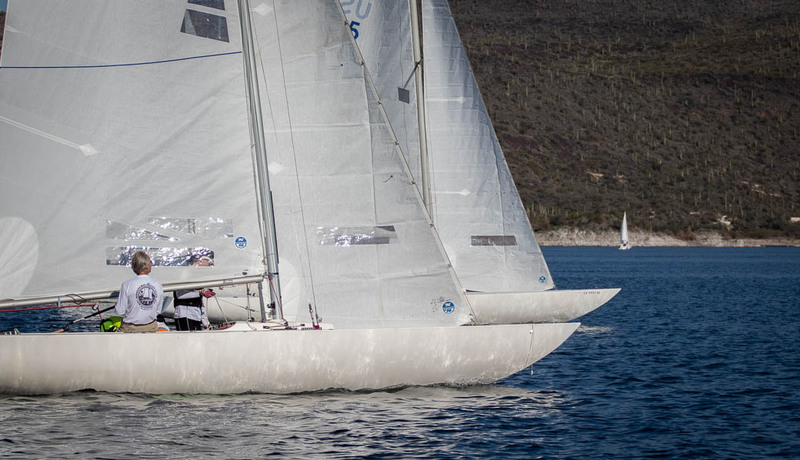 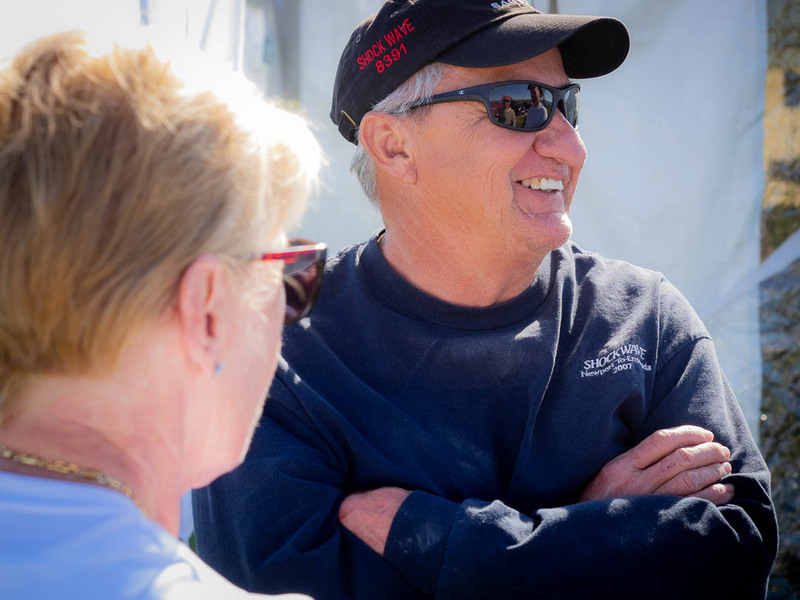 Paul Liszewski and the Rolling in the Deep team widened their lead in the PHRF Spin fleet. 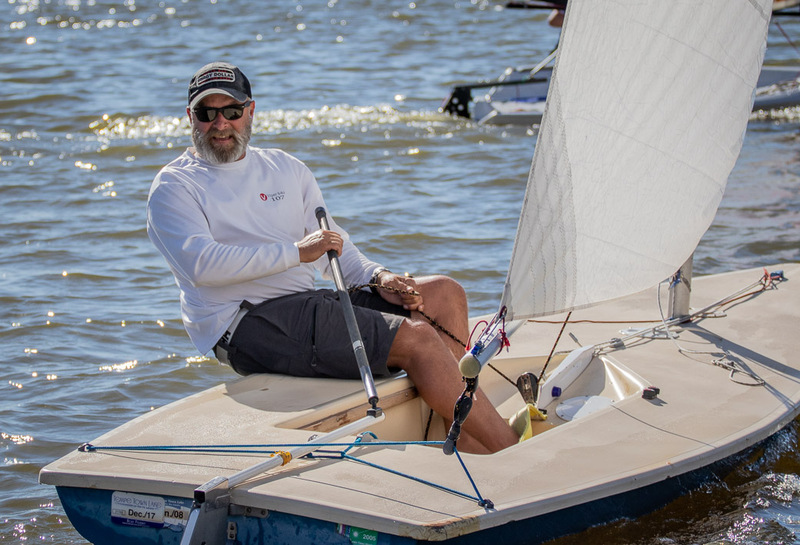 Mike Hester hammered the rest of us in the Sport Boat fleet. 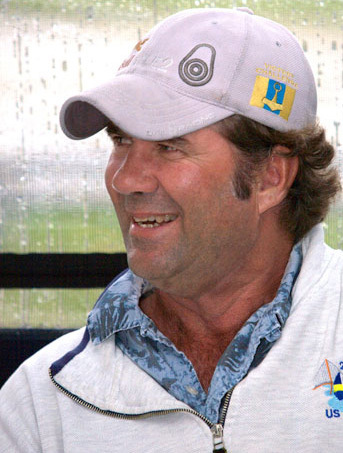 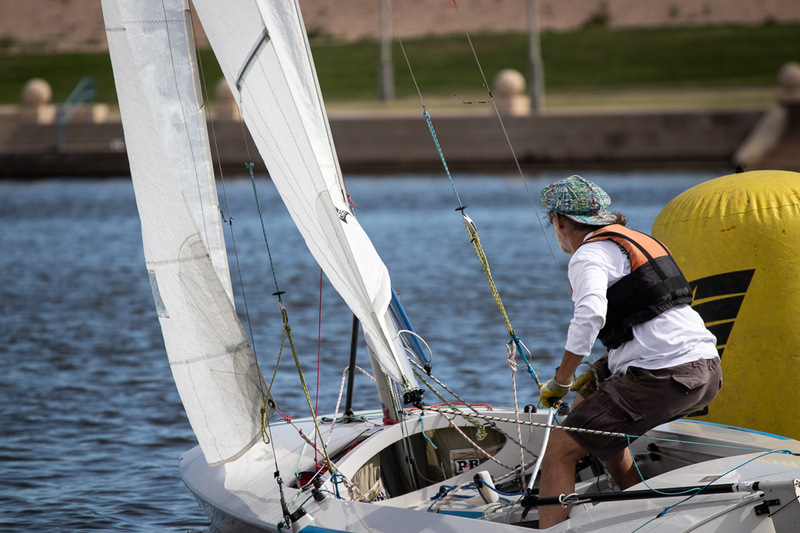 And Skip Kempff stayed out in front in the Thistle fleet. 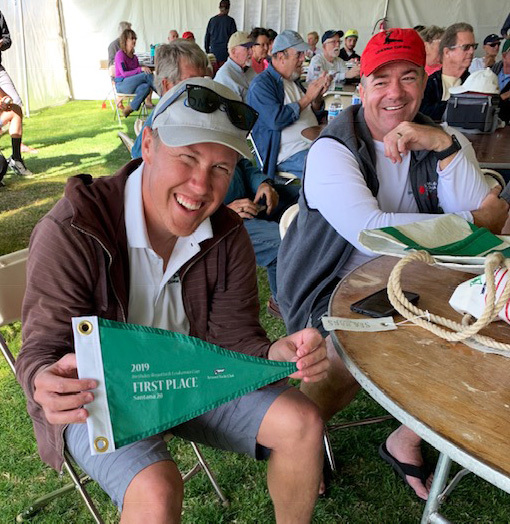 Club Champion Scott Richards has decided to move from Thistle to Santana 20, joining the fight between Joel Hurley and Martin Lorch that Joel is so far winning. 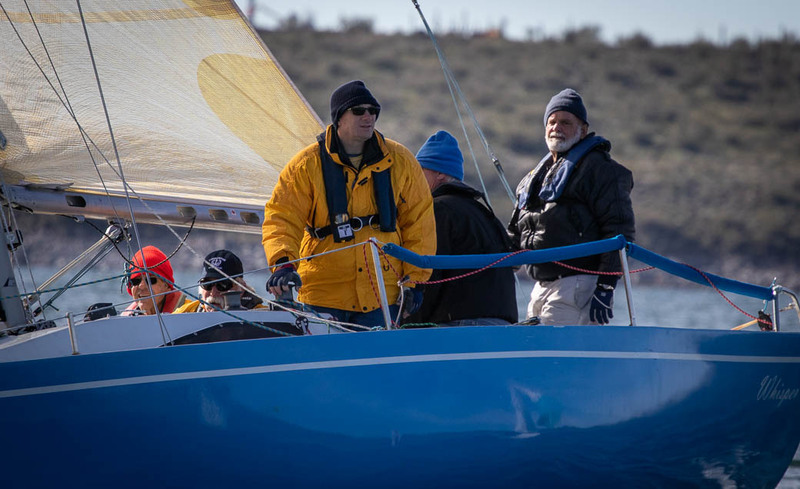 Scott brought his “new” Santana out for the first time Saturday to break her in and begin to tune her with the expected result: watching the other two from third place. 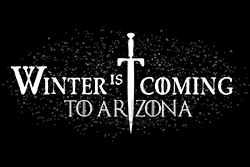 This could be interesting. 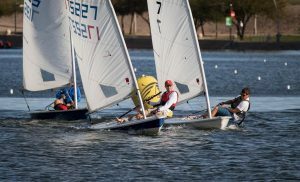 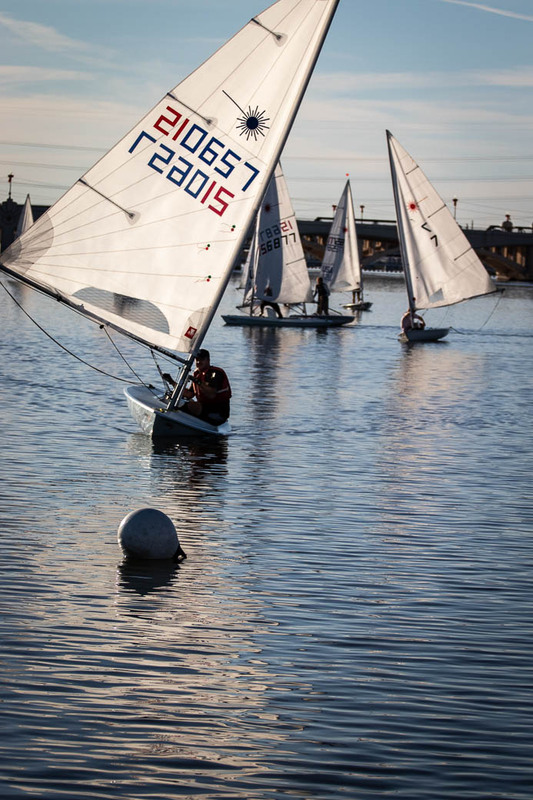 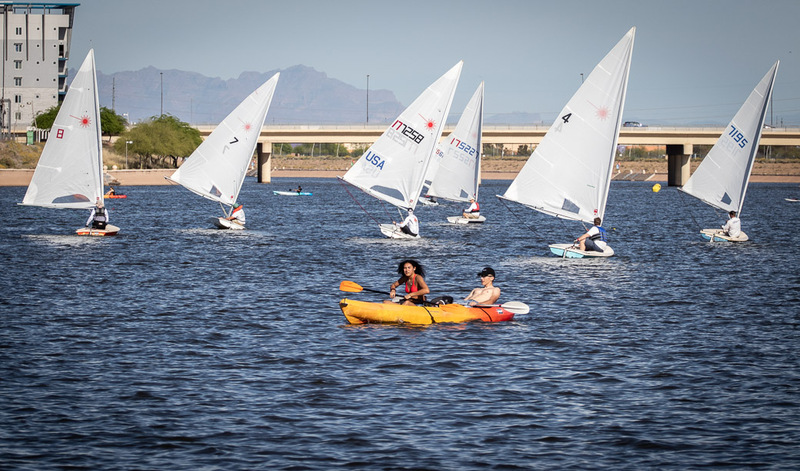 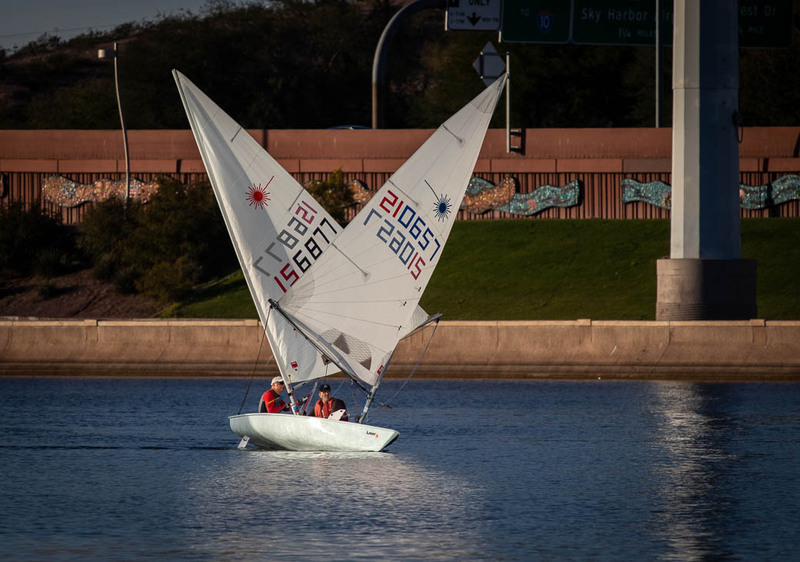 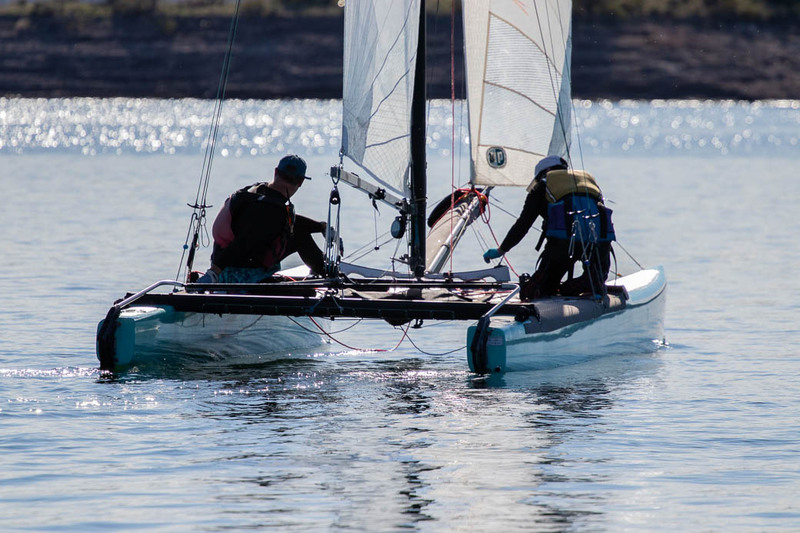 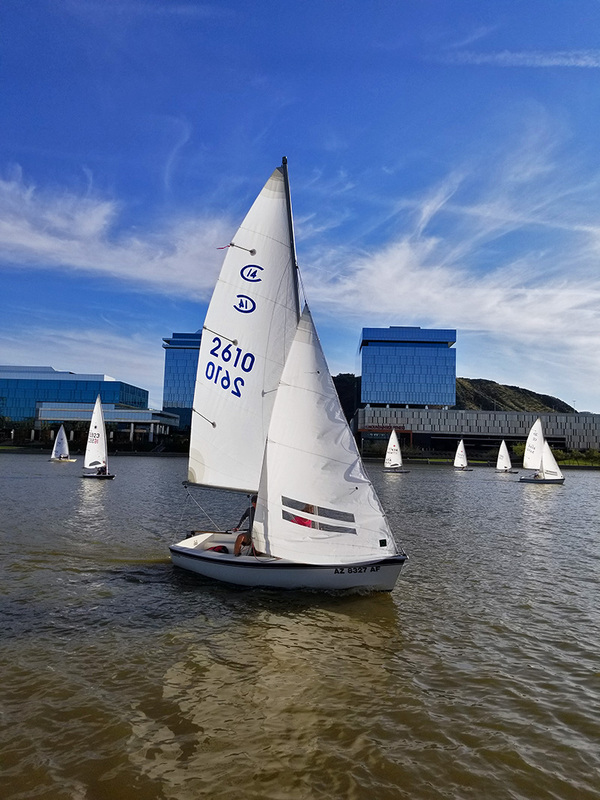 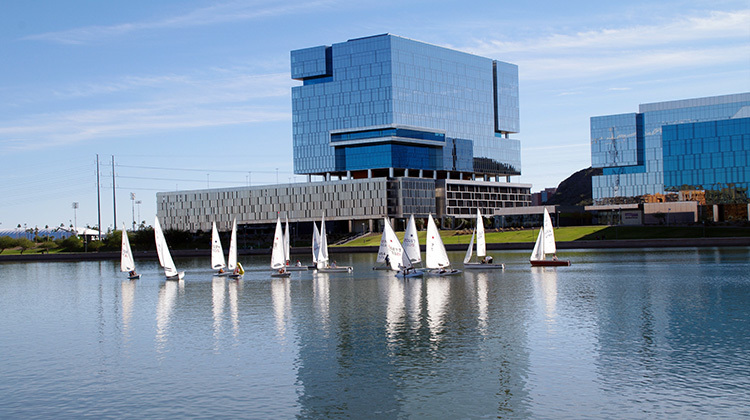 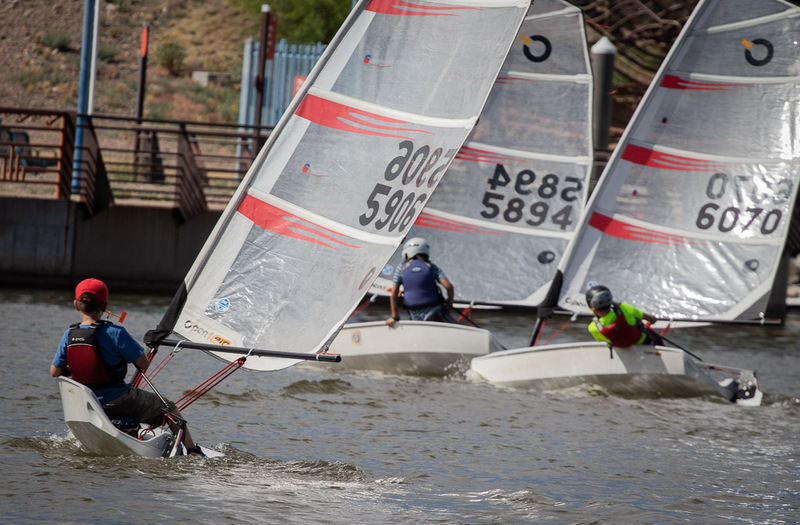 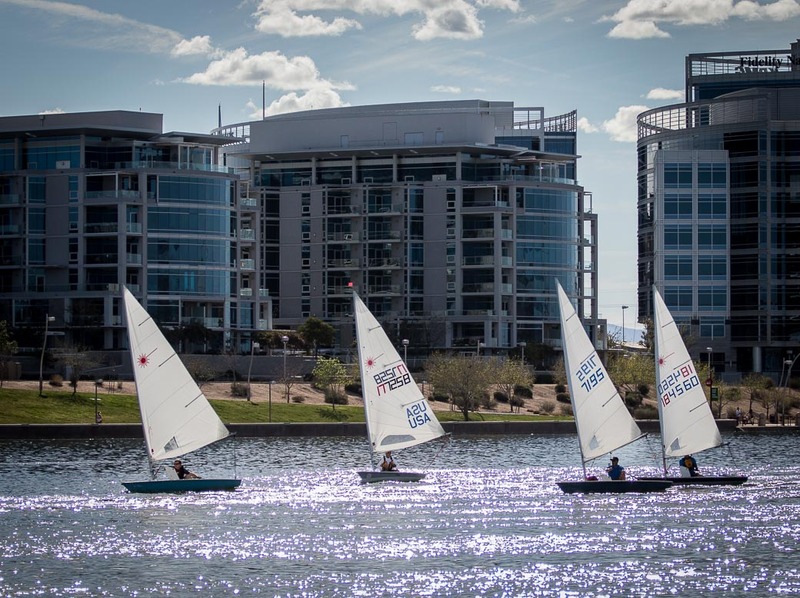 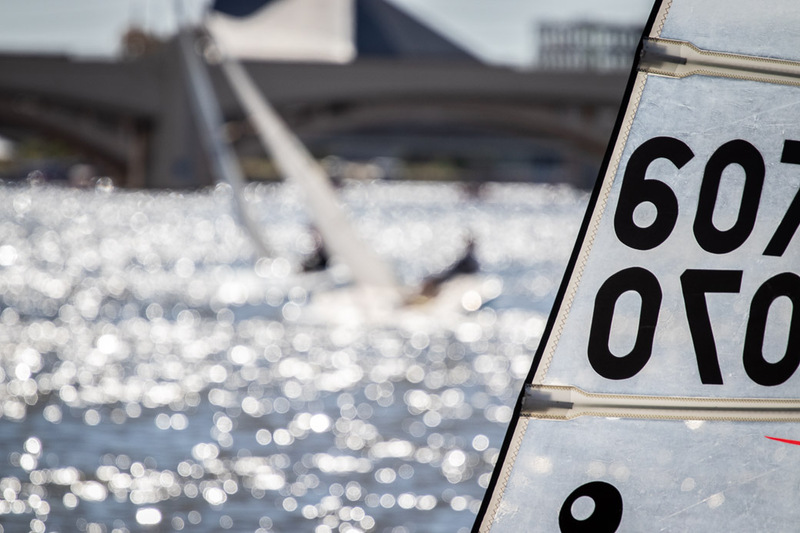 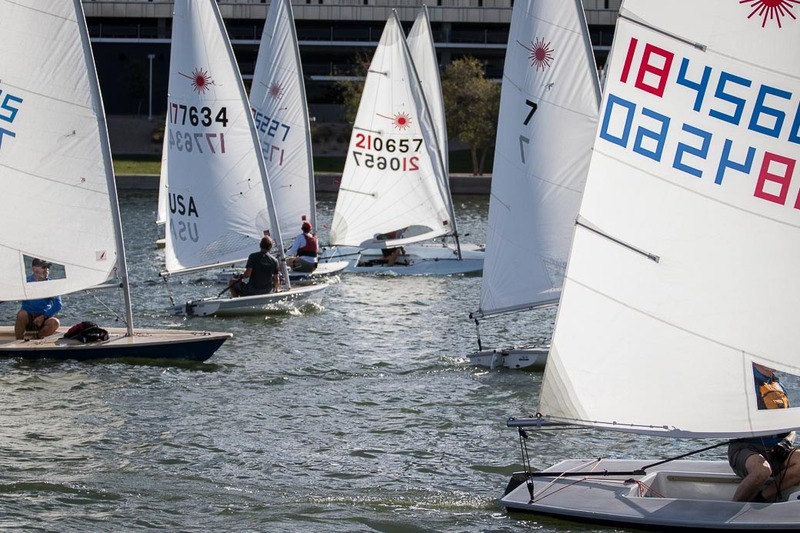 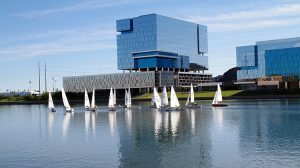 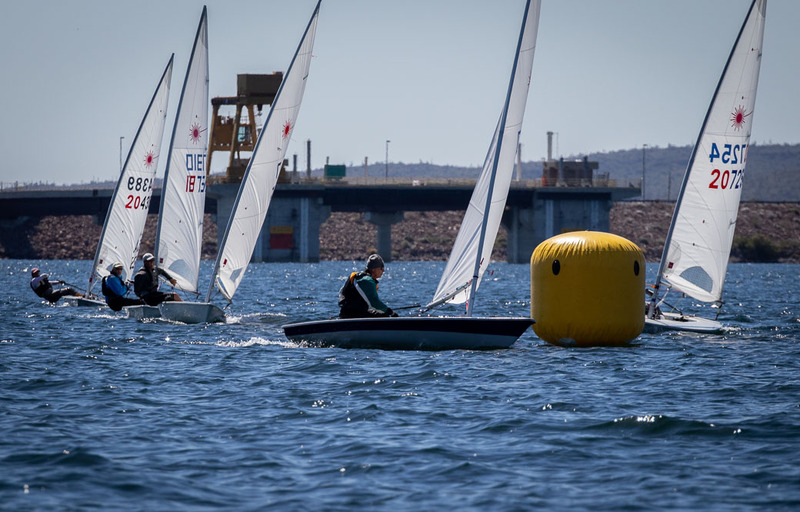 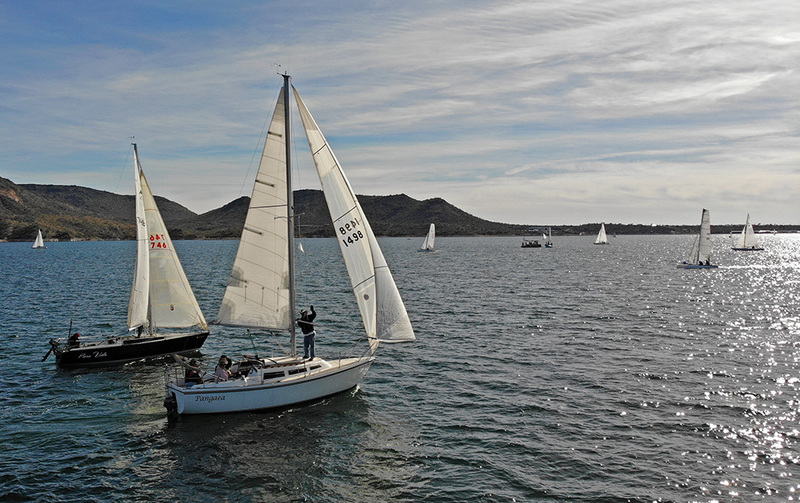 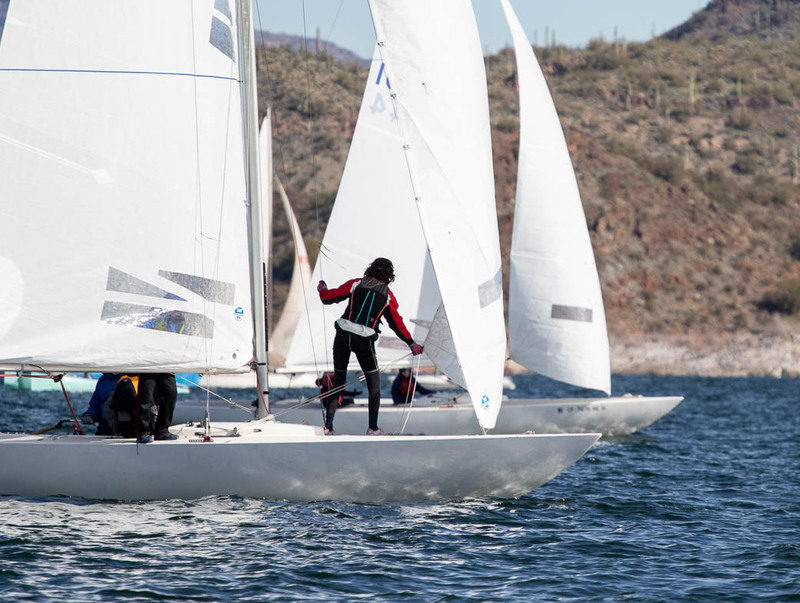 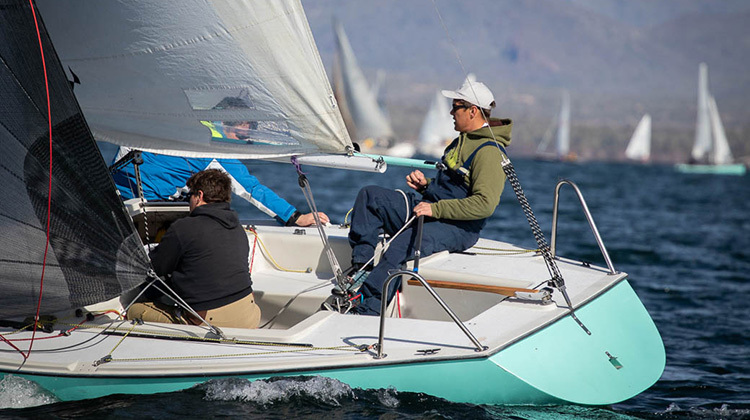 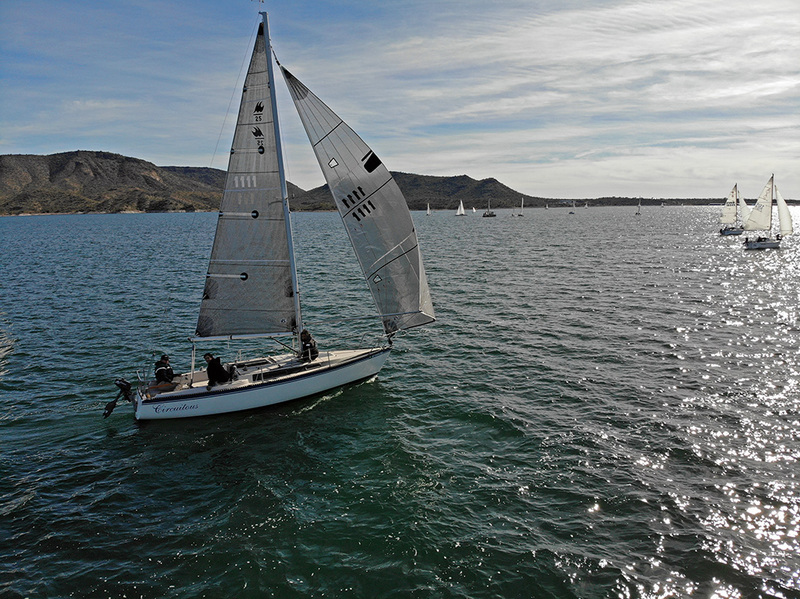 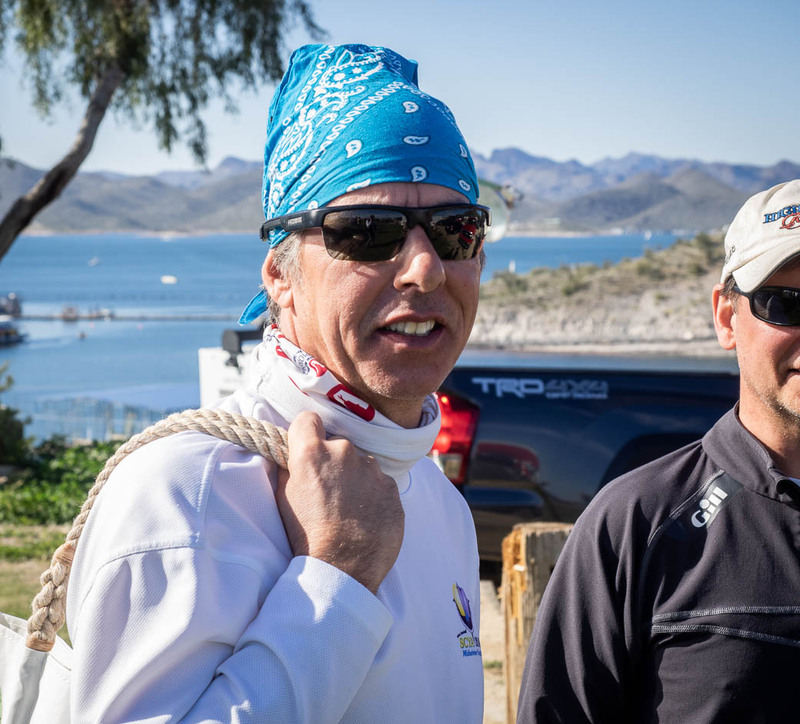 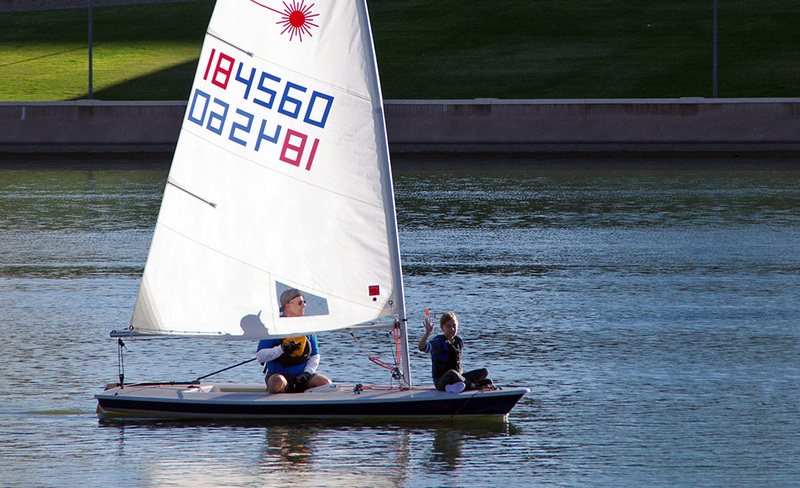 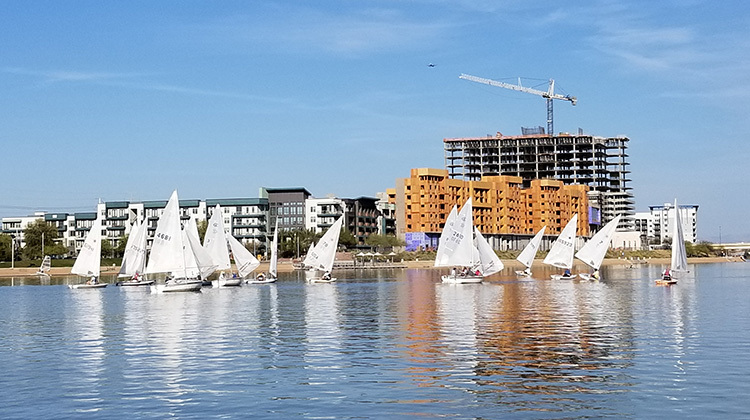 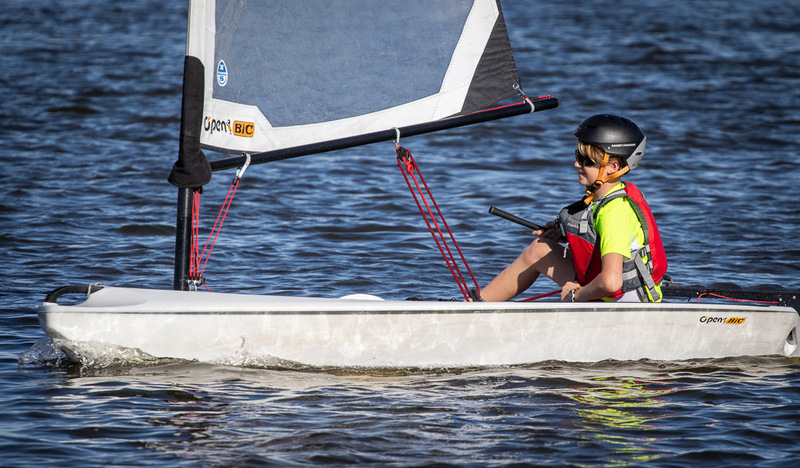 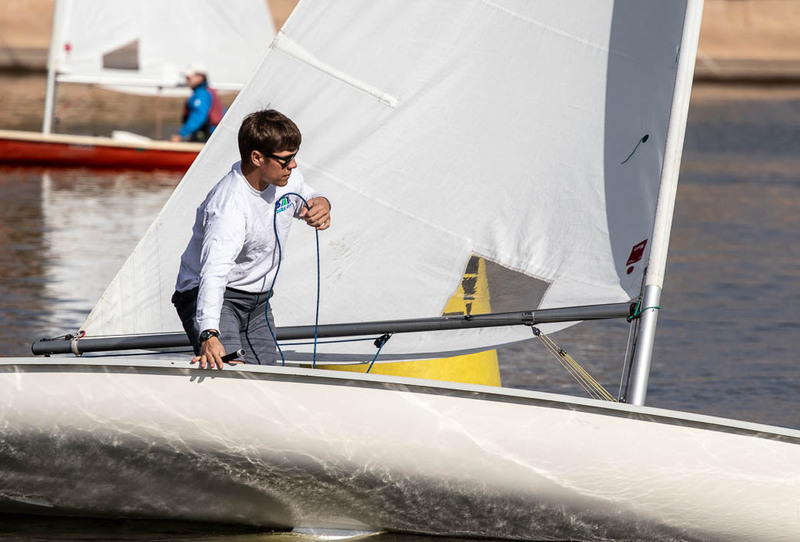 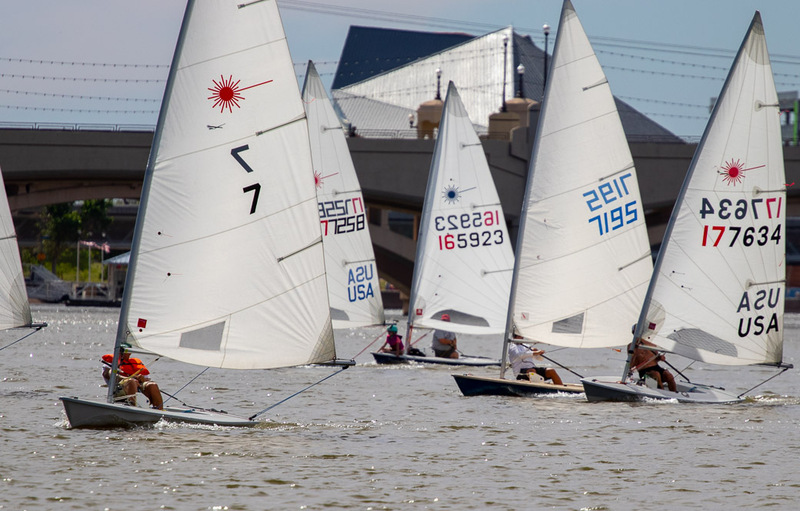 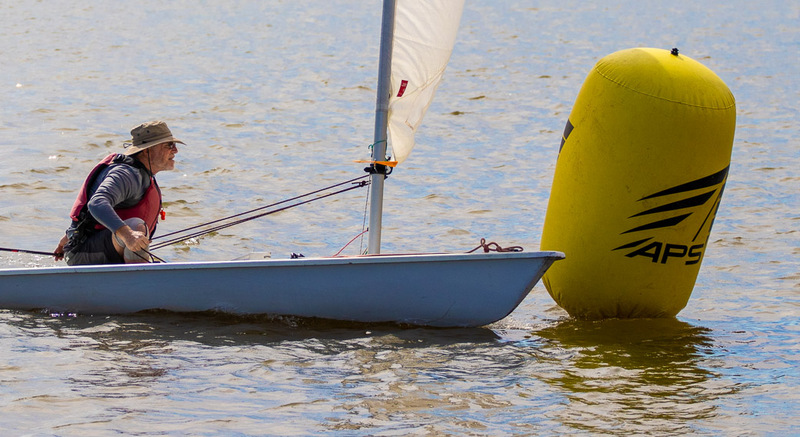 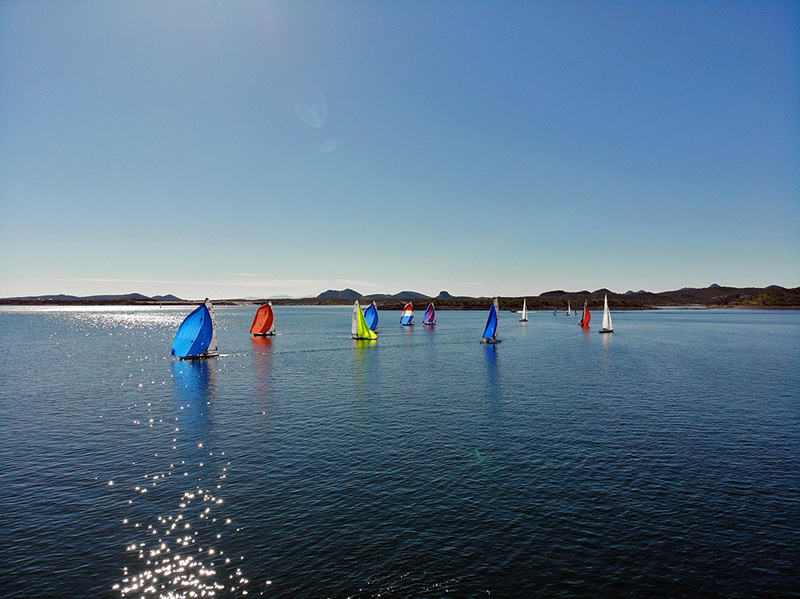 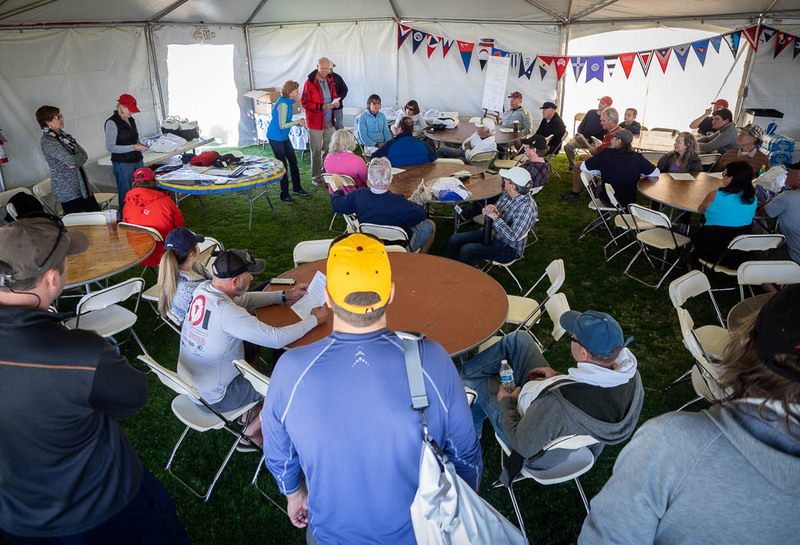 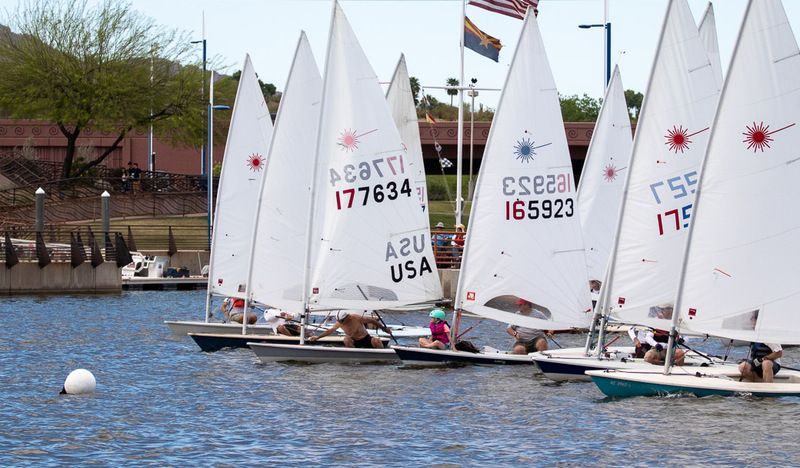 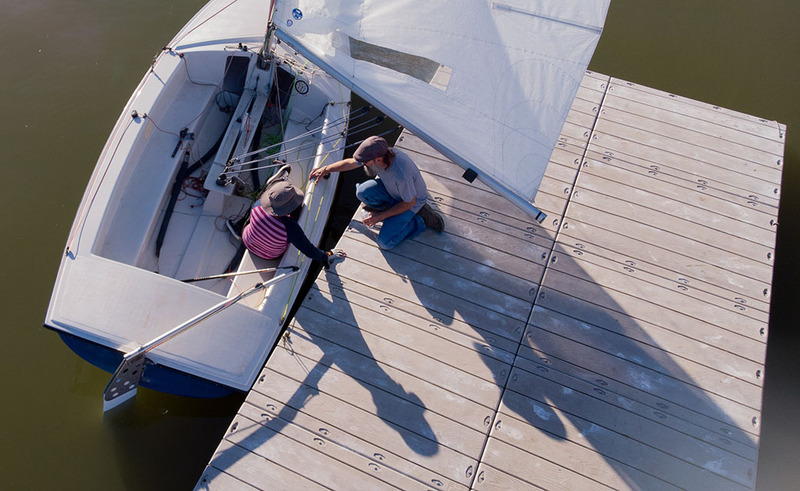 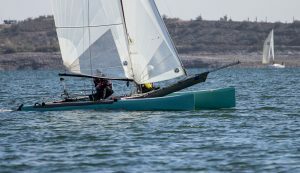 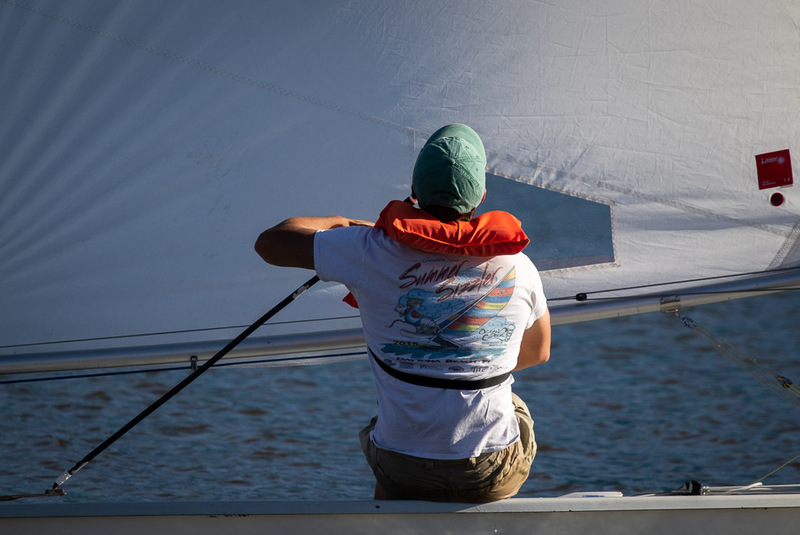 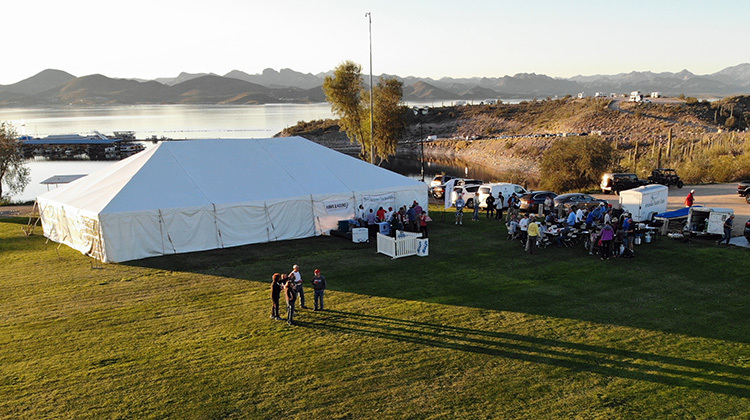 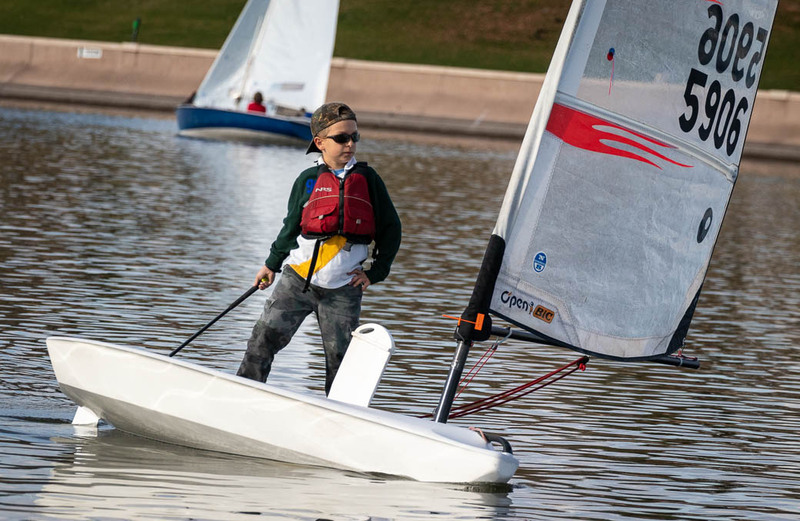 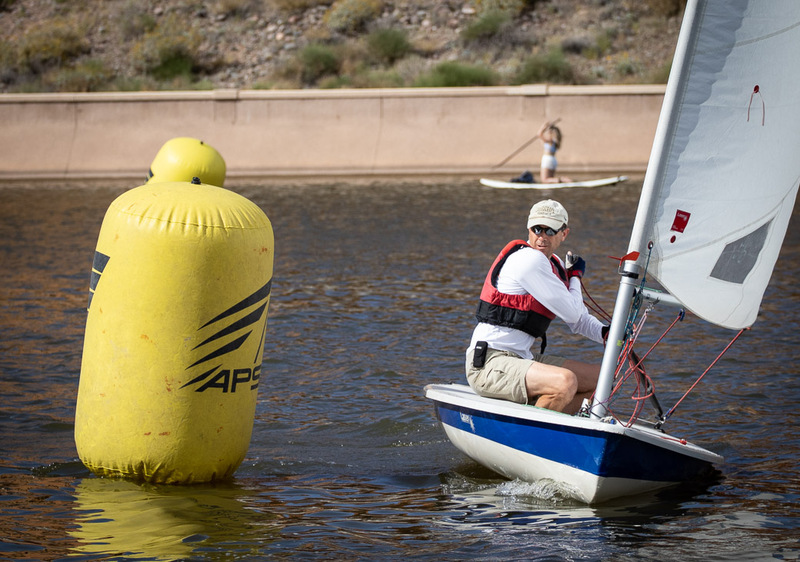 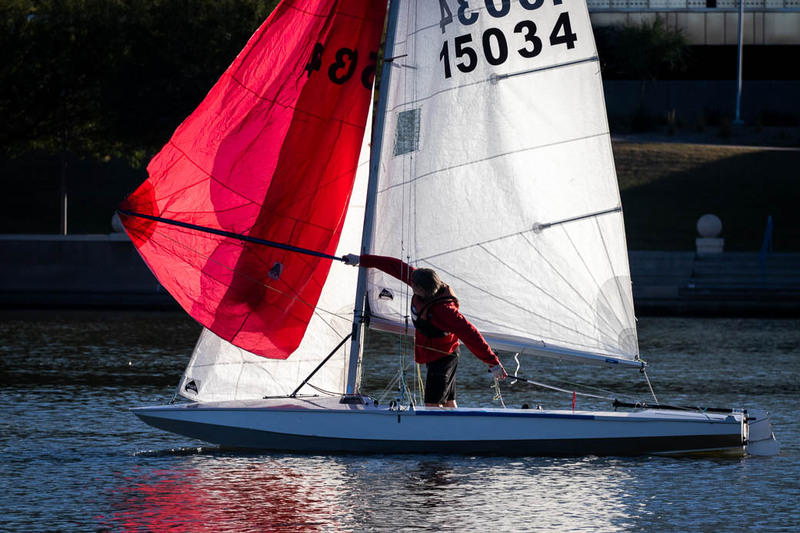 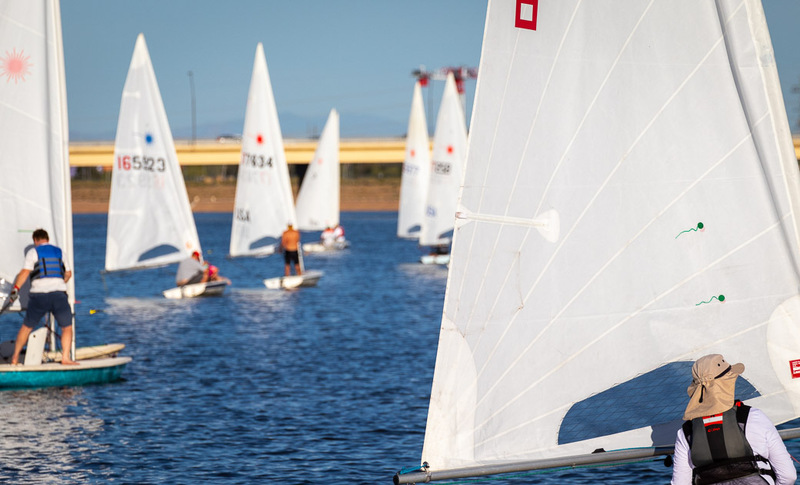 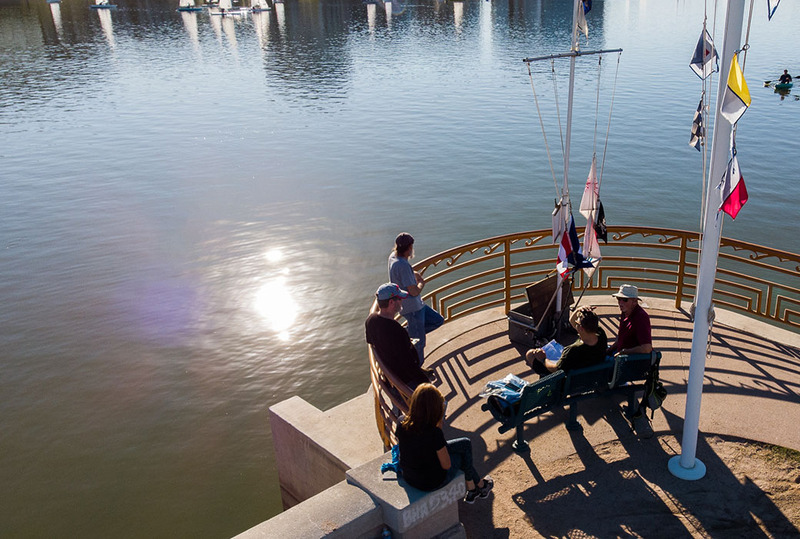 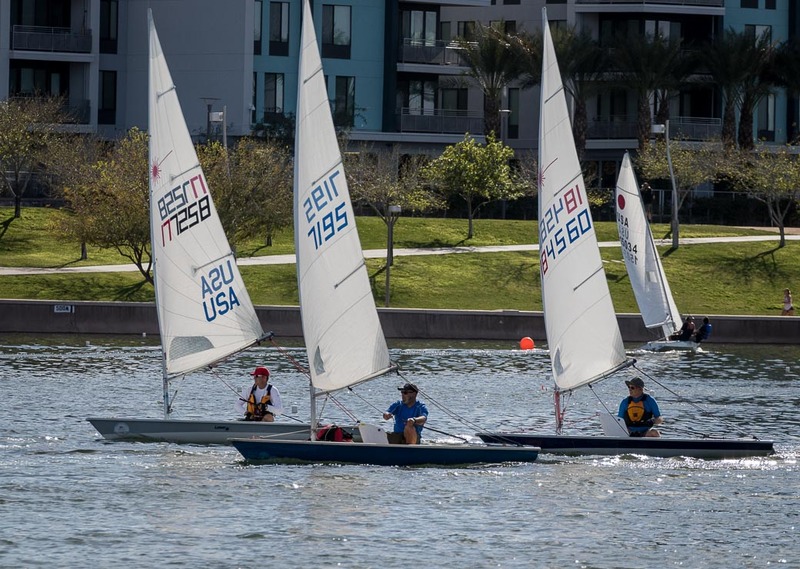 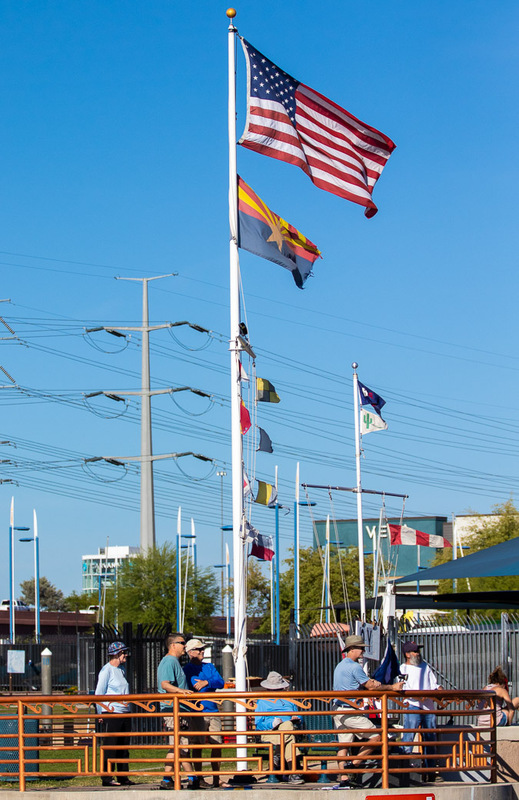 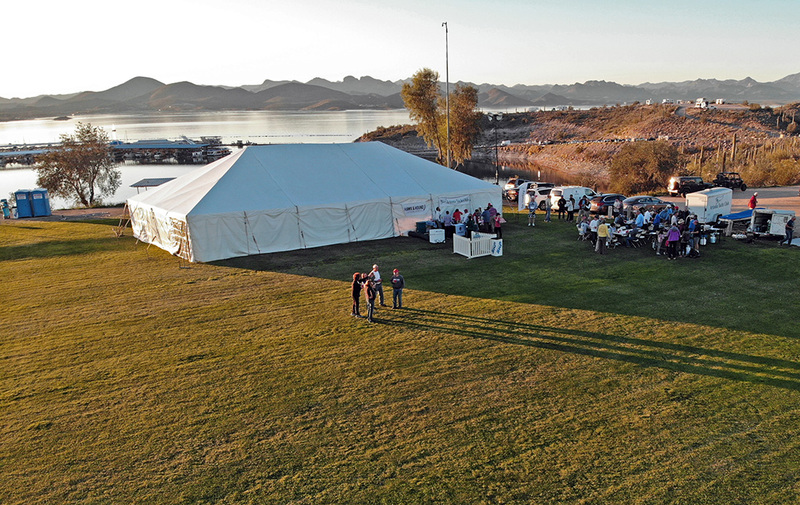 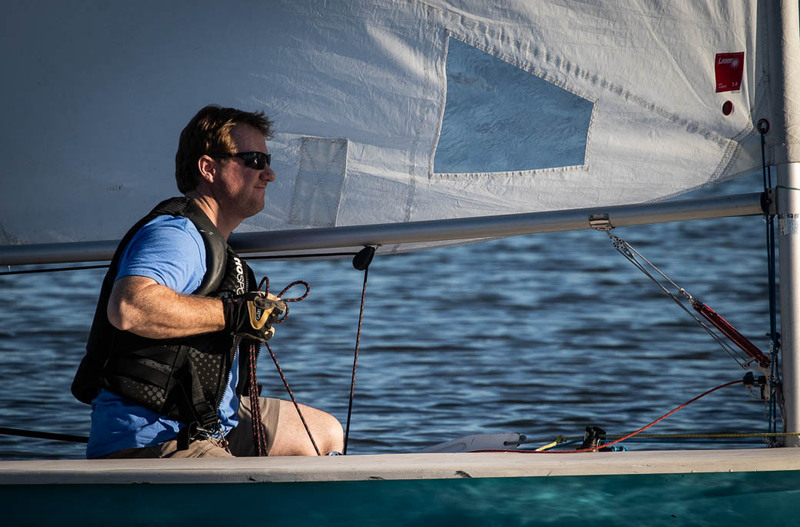 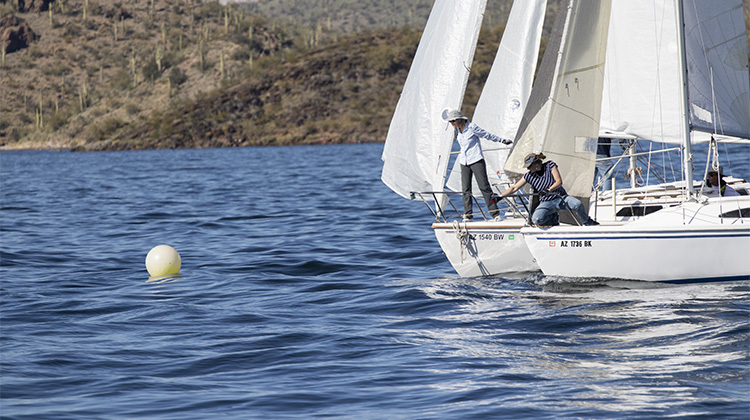 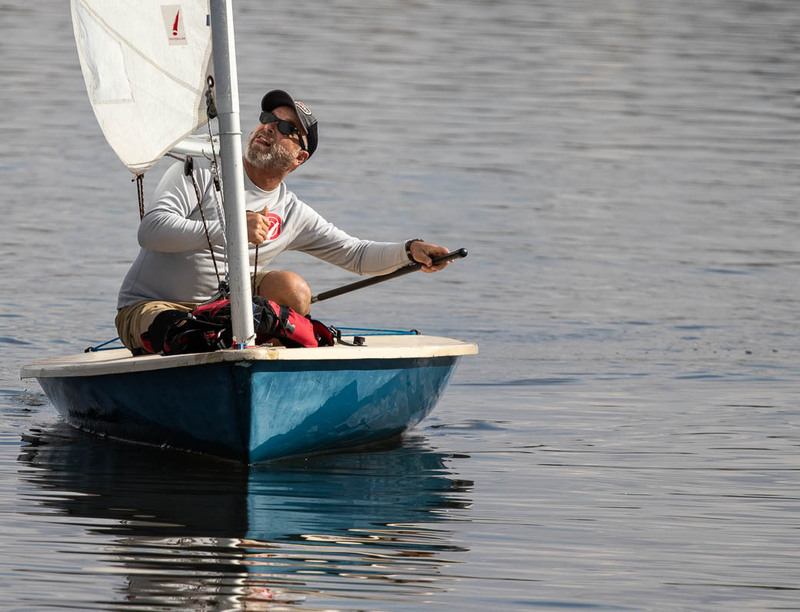 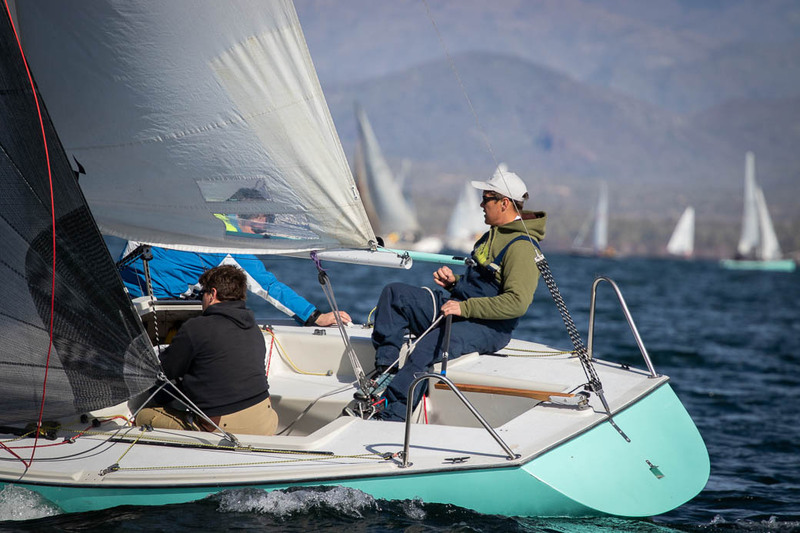 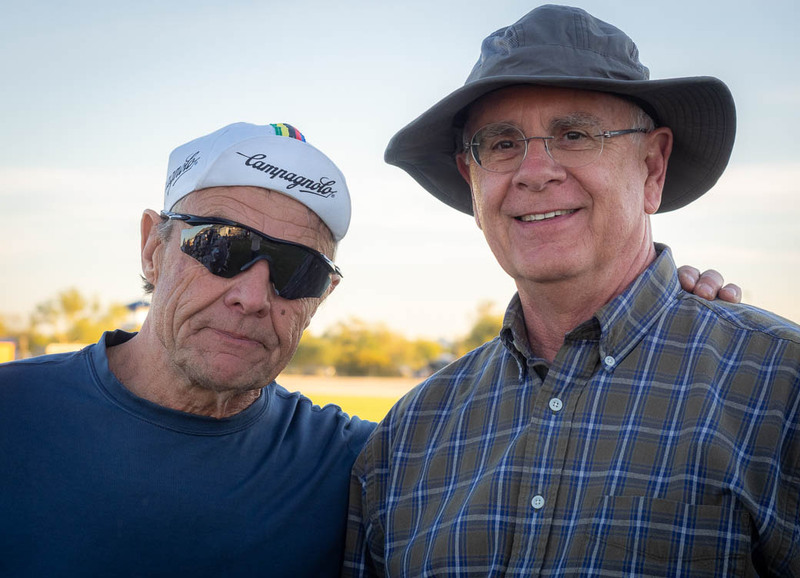 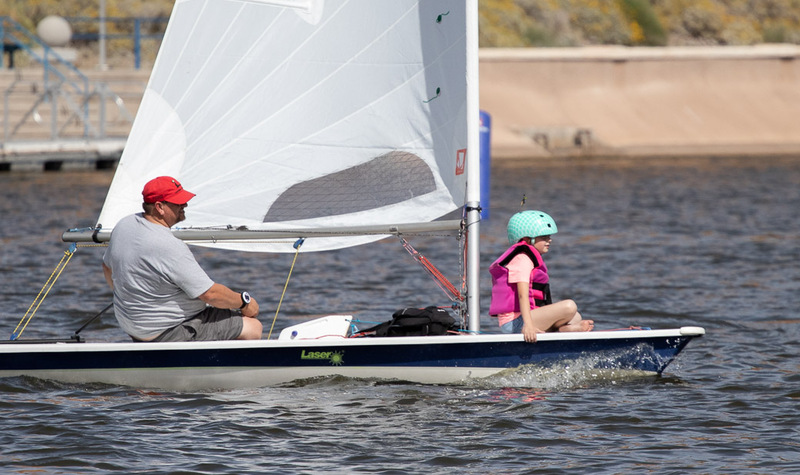 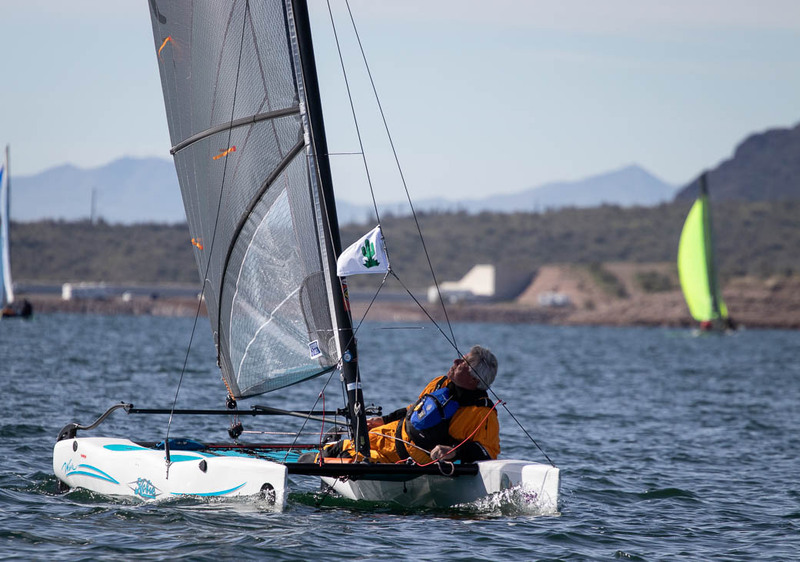 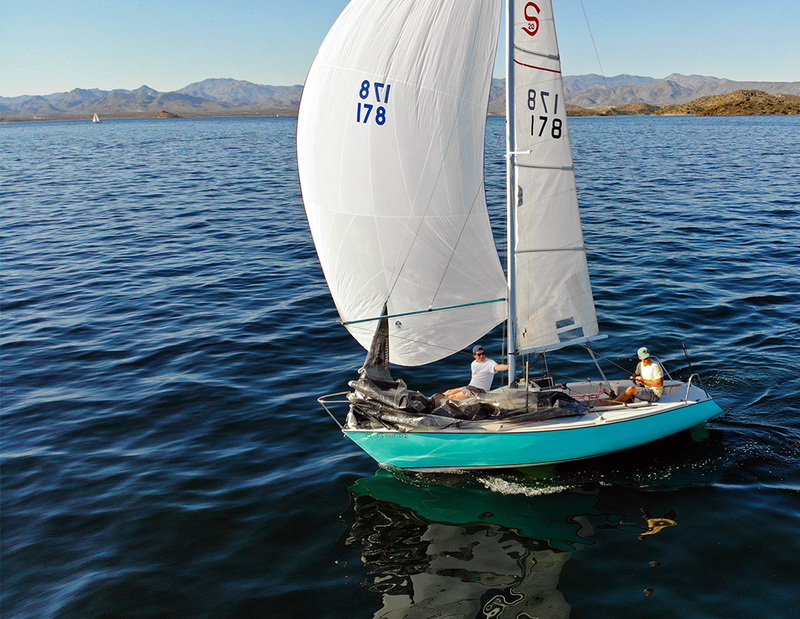 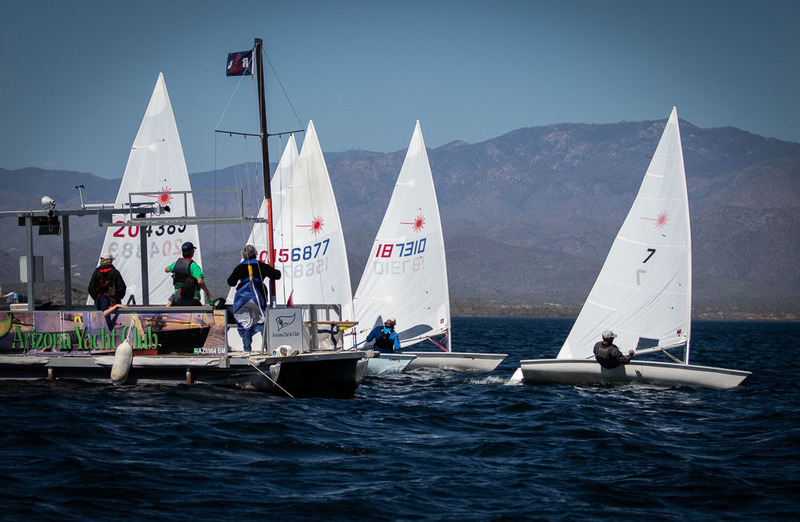 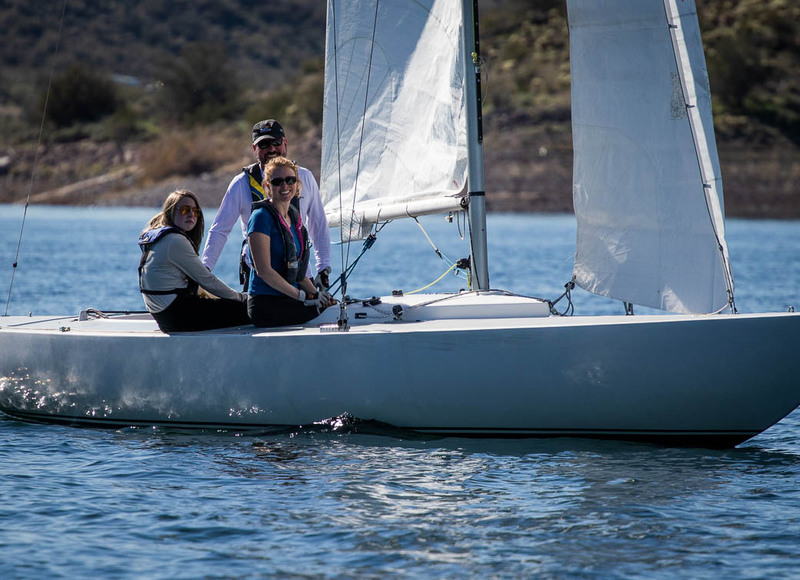 The spring Tempe Town Lake racing series began with light air and close competition among the Laser sailors. 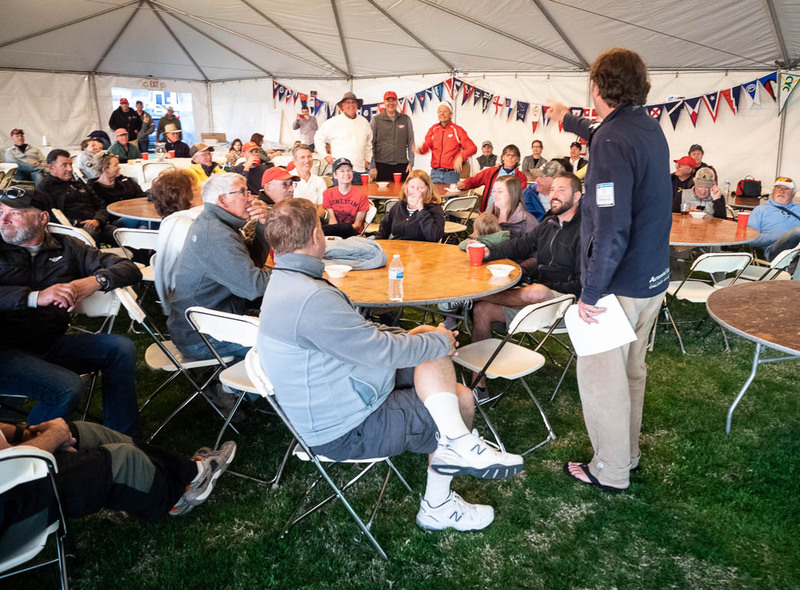 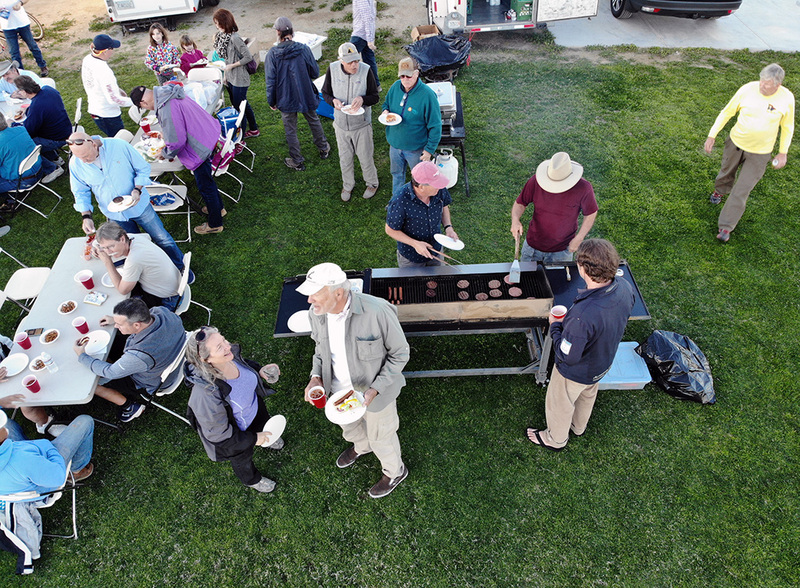 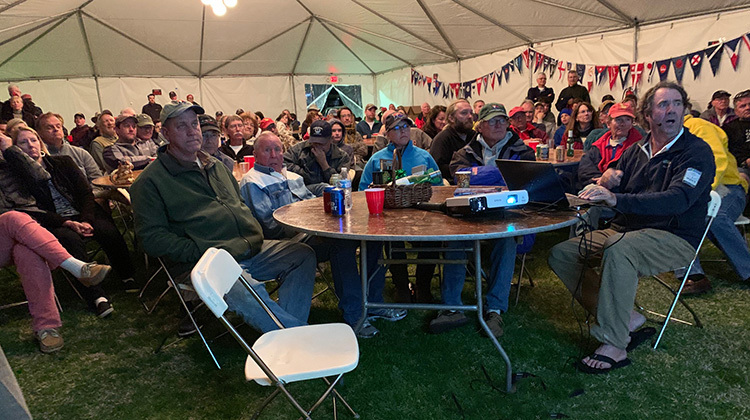 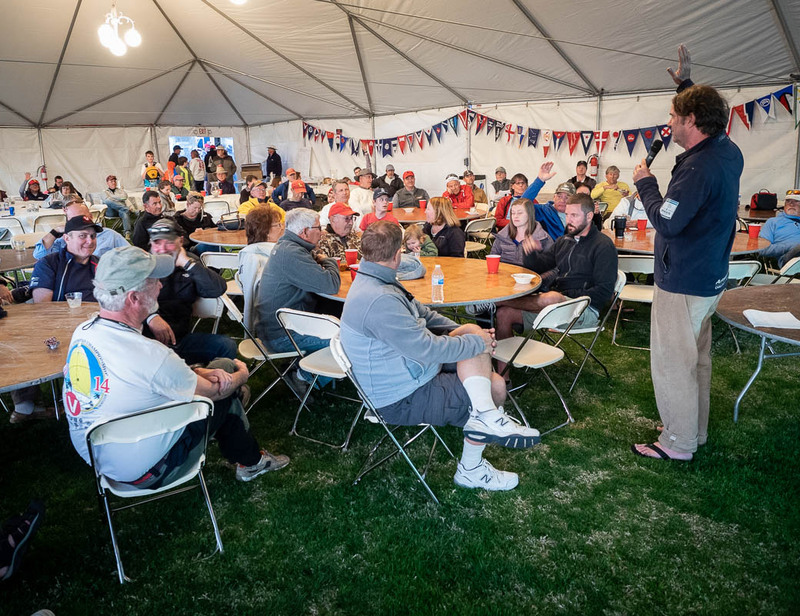 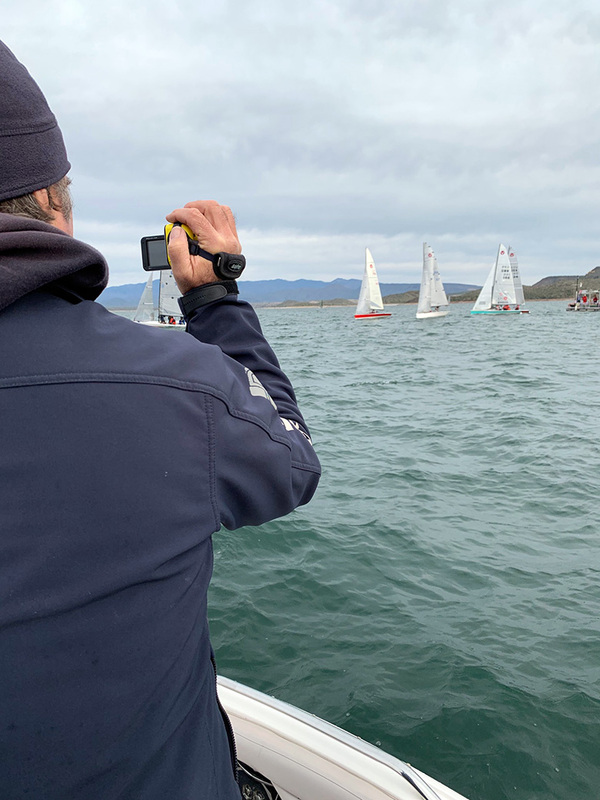 The fleet is chock full of experienced sailors and a mid-pack of guys new to the boat, making it competitive both at the front and the back. 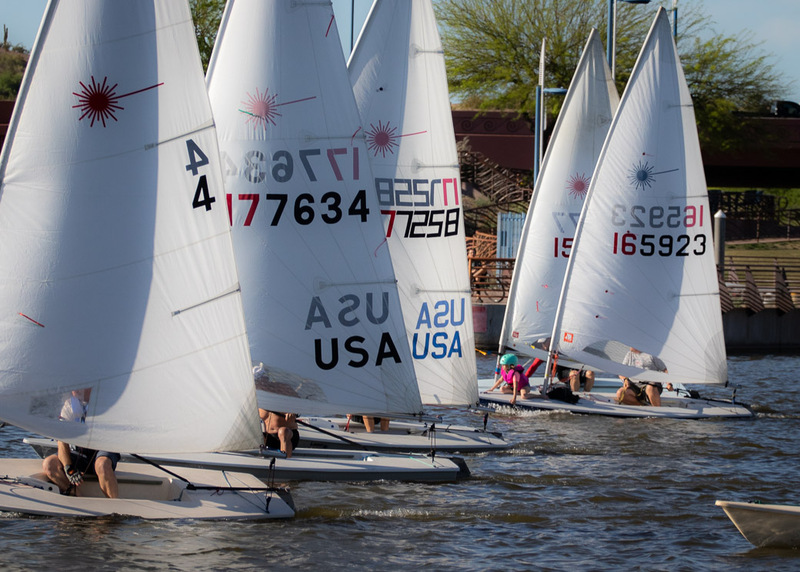 Some 19 Laser sailors signed up for the series, the same number as the fall, but with some different people. 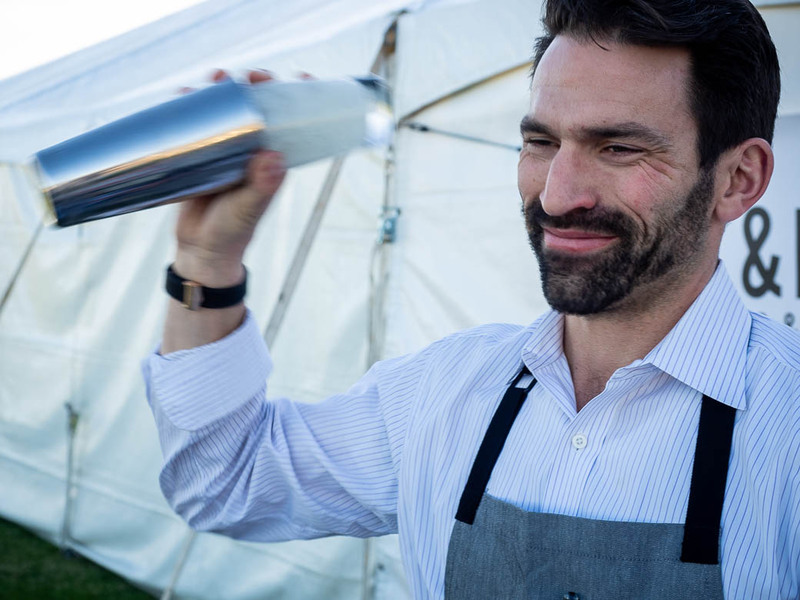 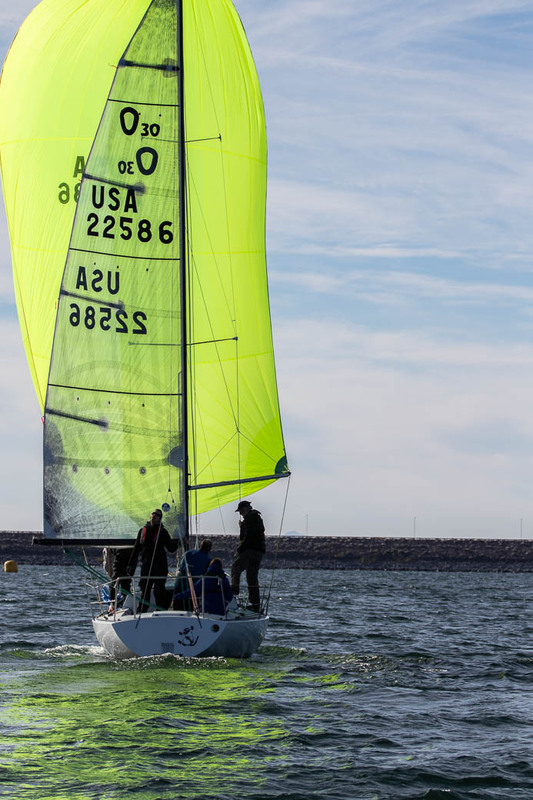 Fall series winner Scott Sharples has not signed up for spring, for instance. 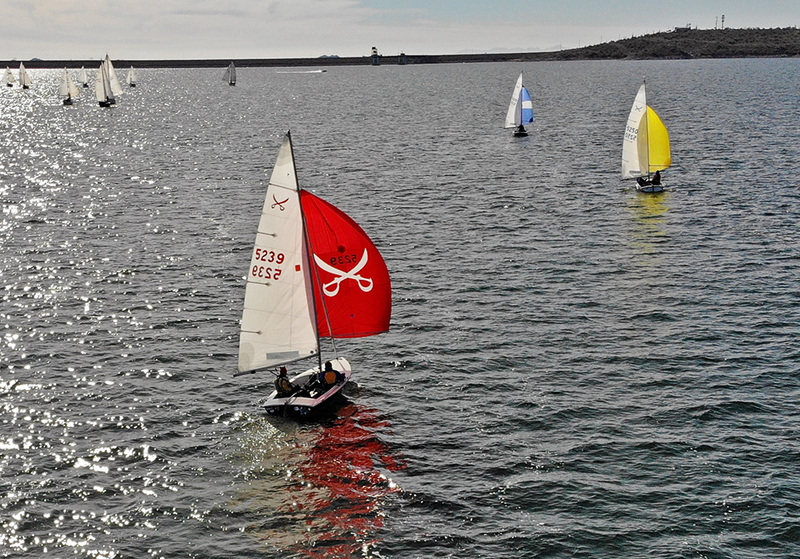 And it finished with a mixture of wind and some very close racing. 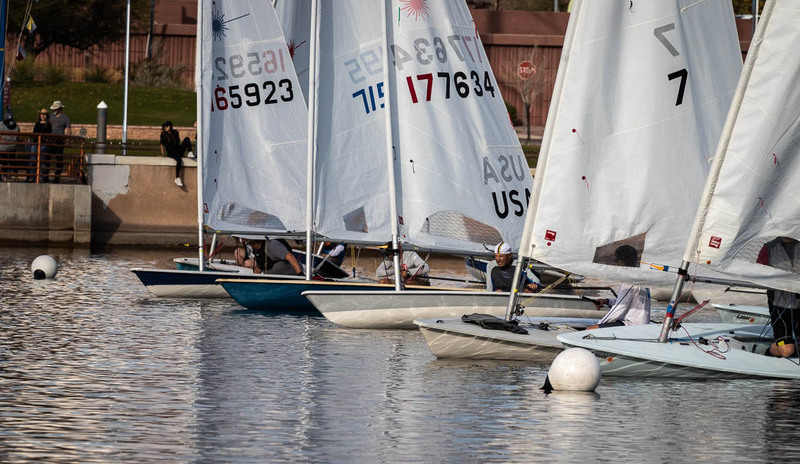 Here are the results of the final week and the fall series. 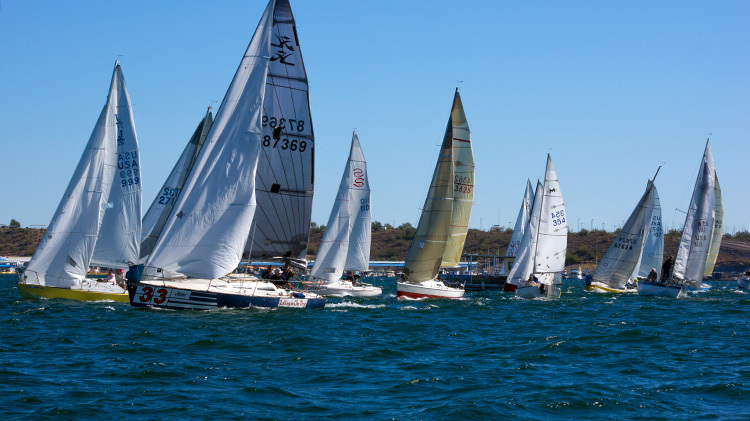 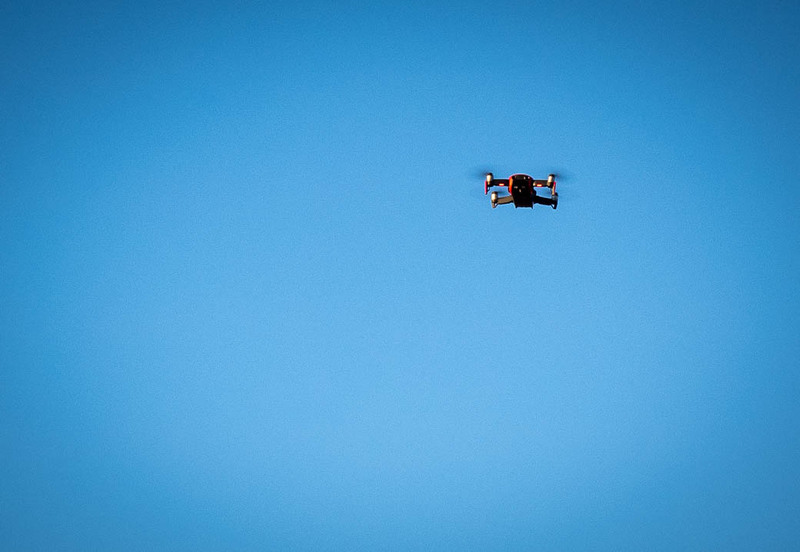 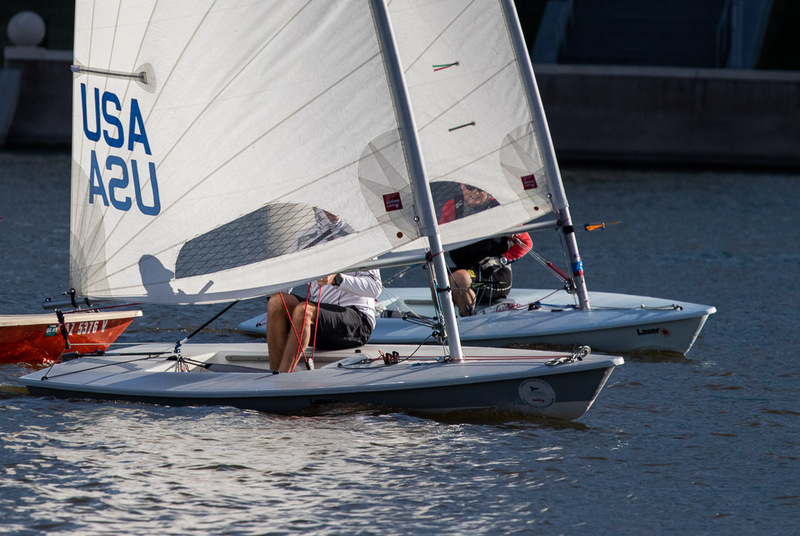 Scott Sharples edged out Joel Hurley by one point to win the closely-fought Laser fleet. 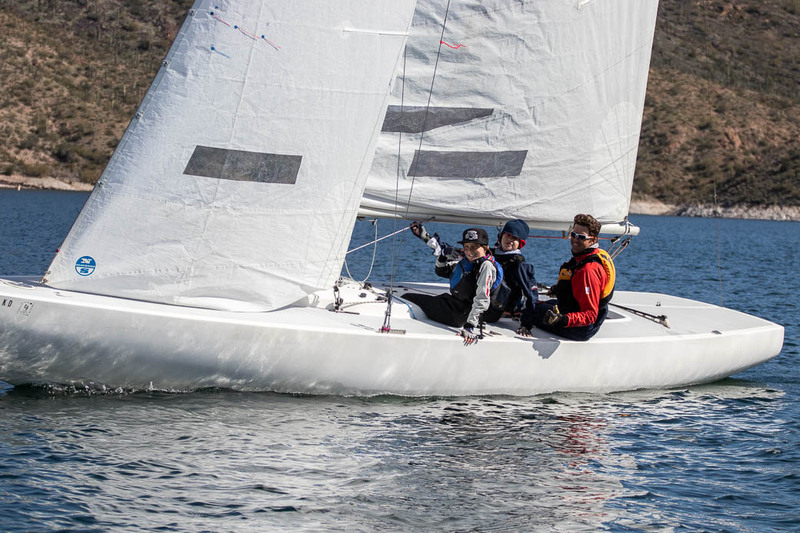 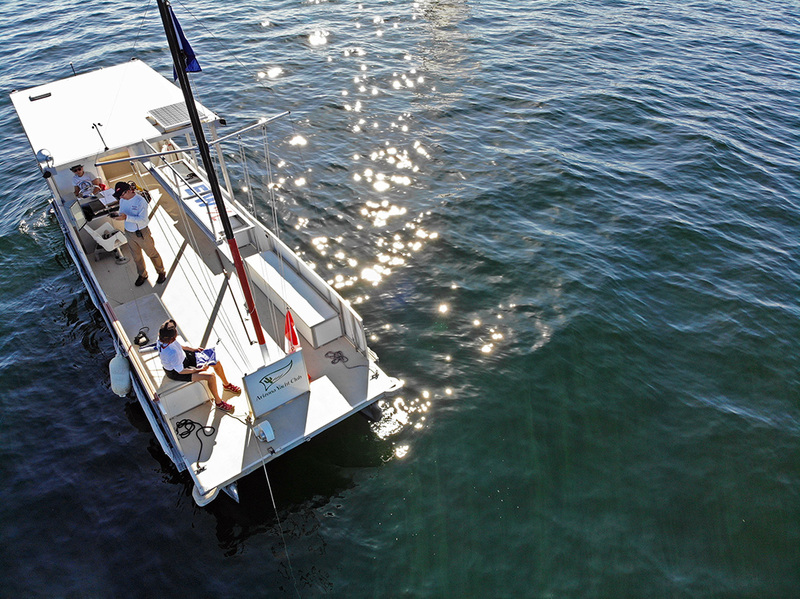 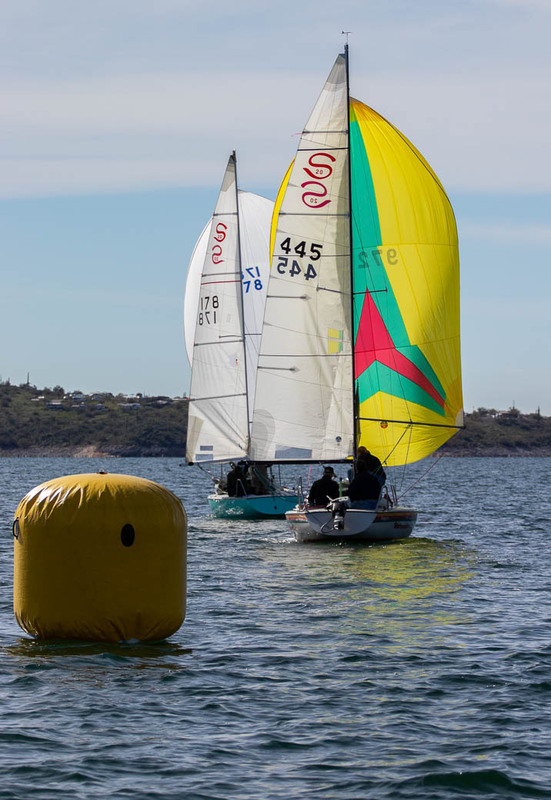 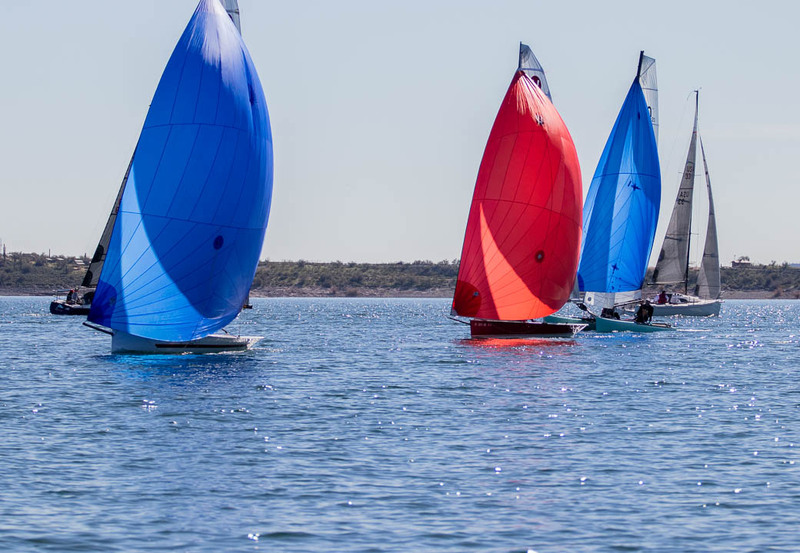 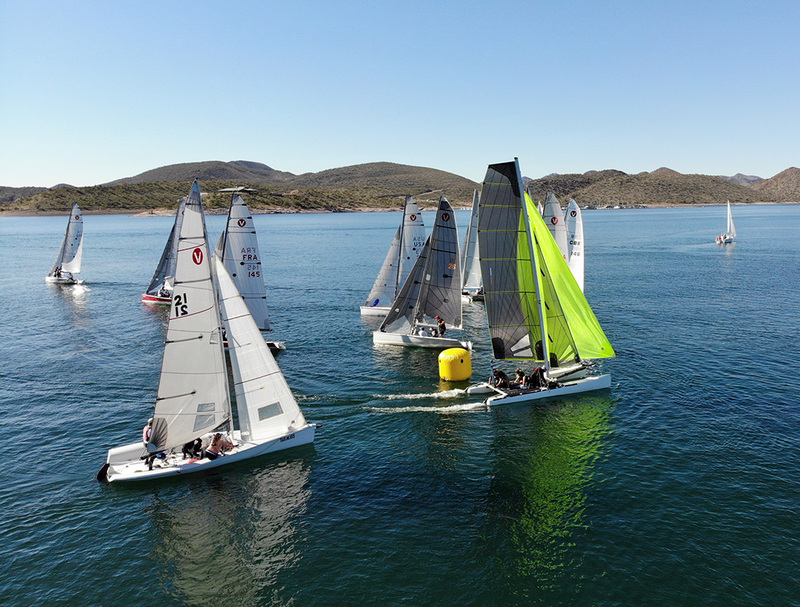 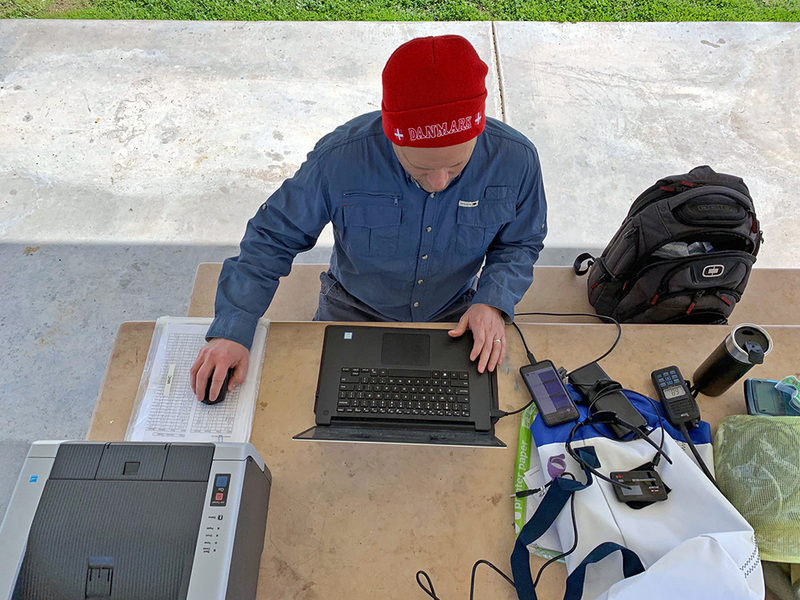 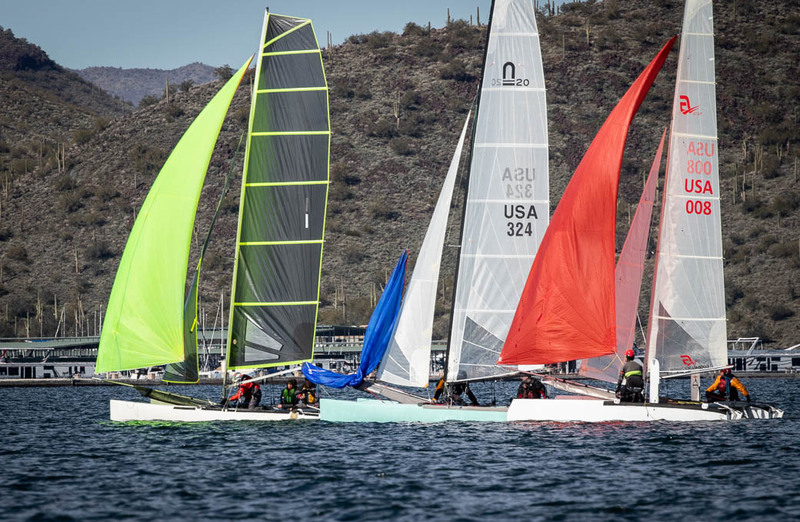 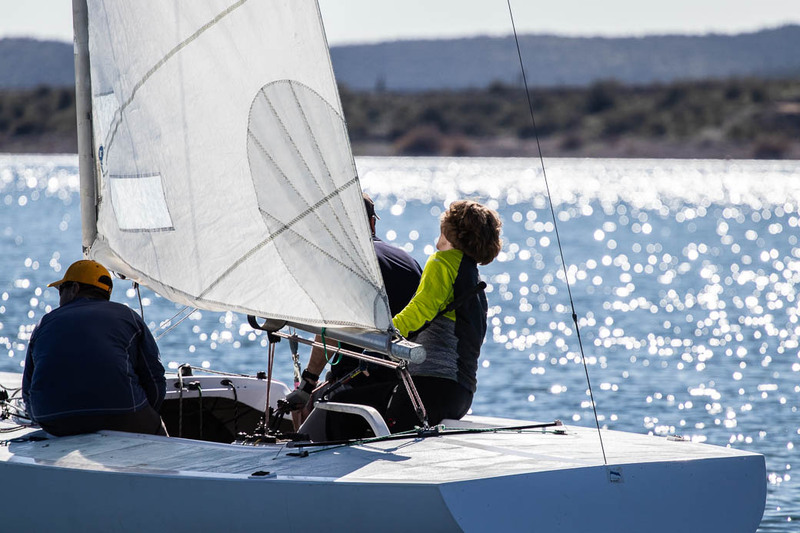 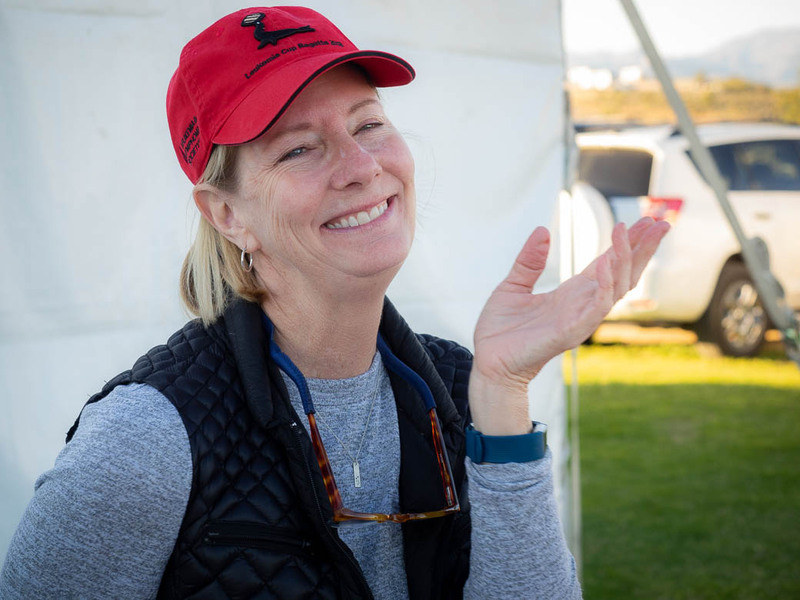 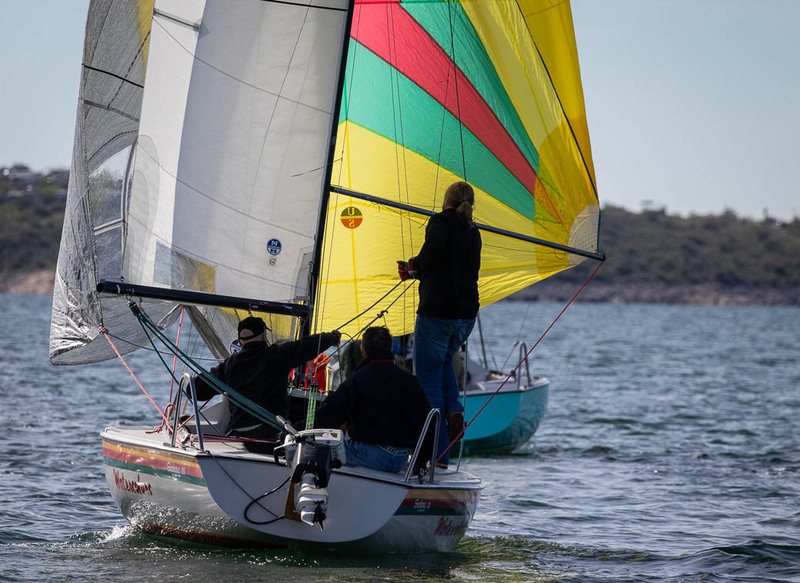 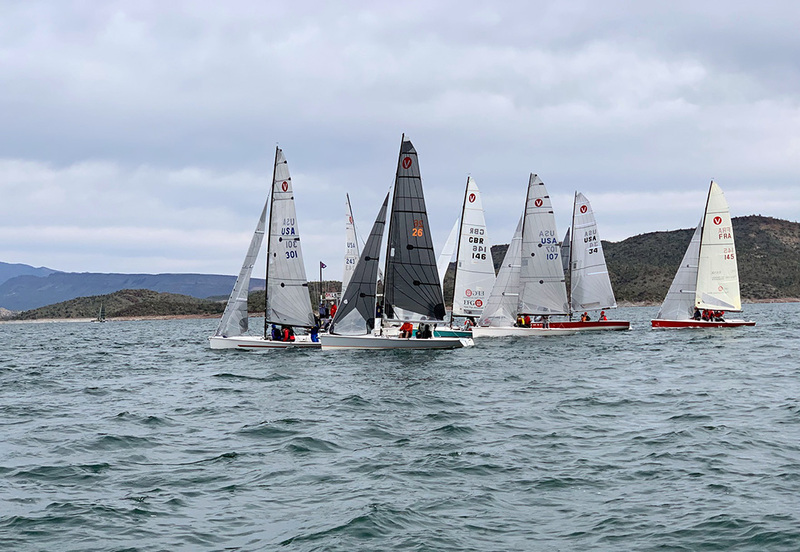 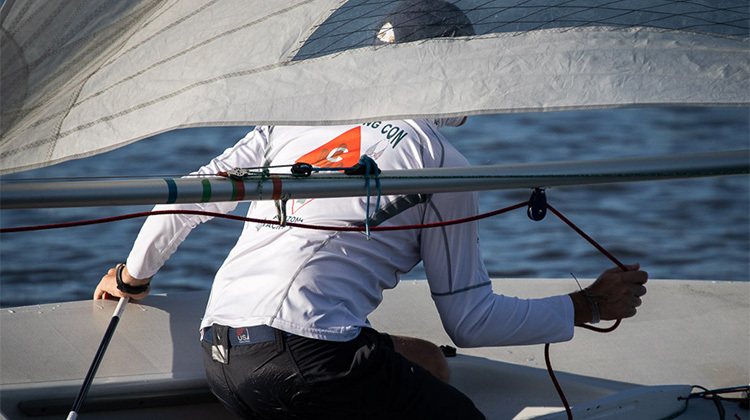 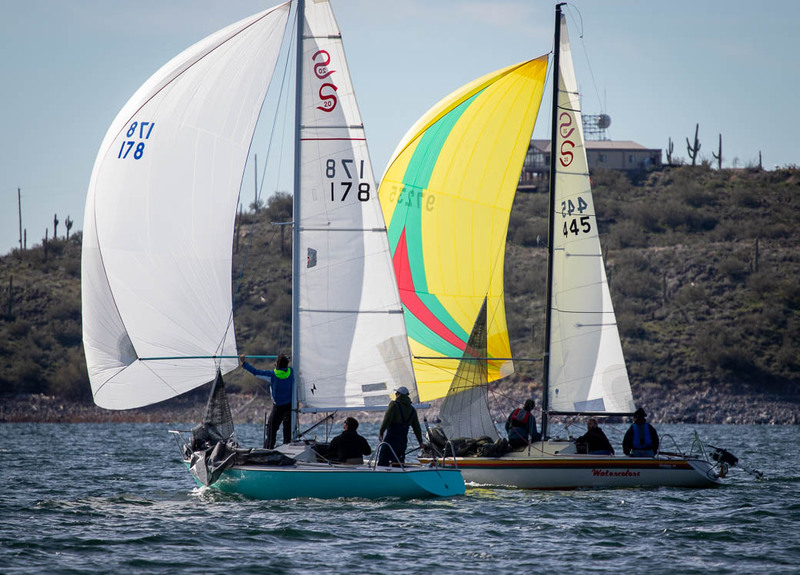 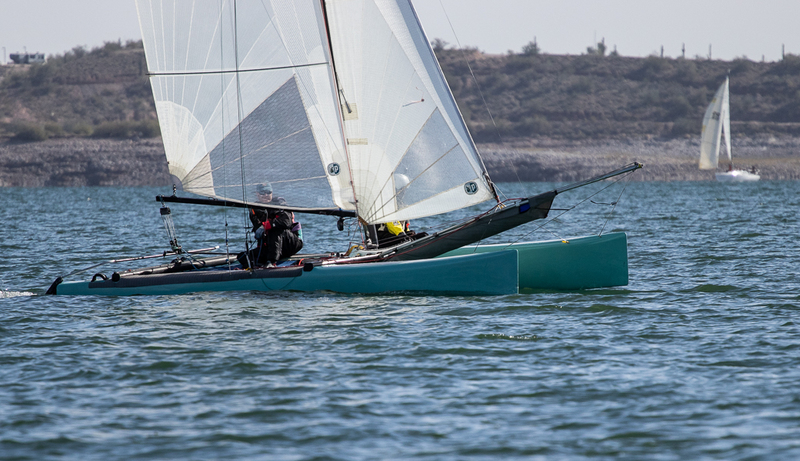 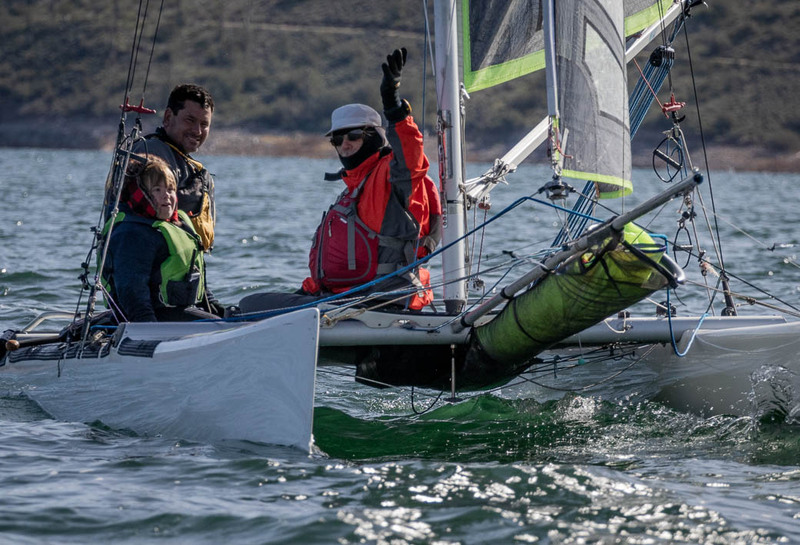 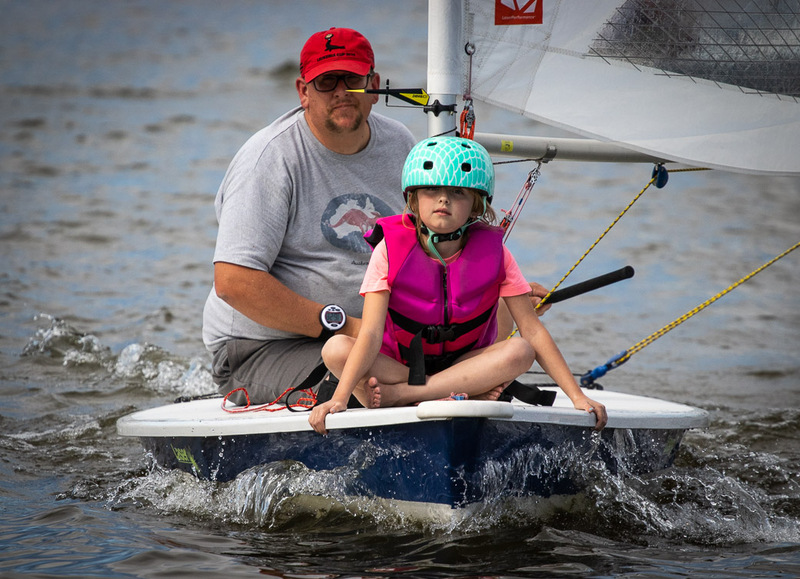 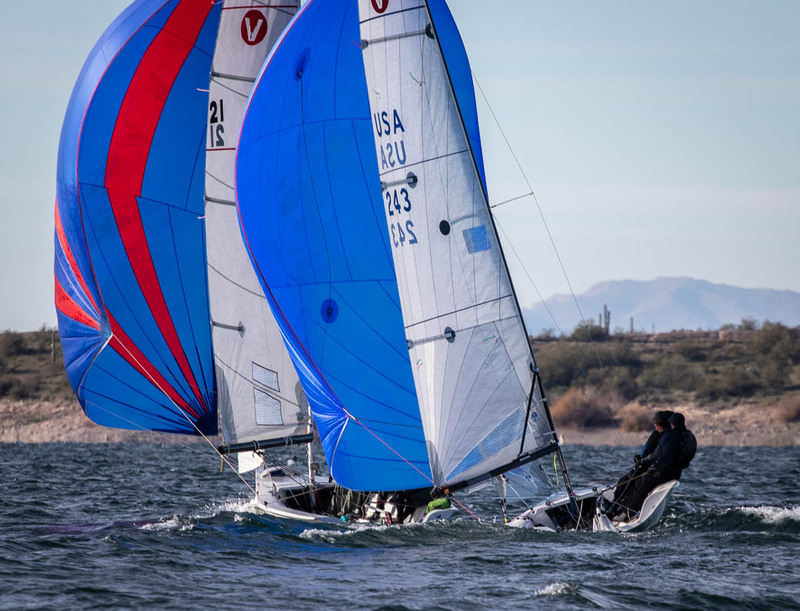 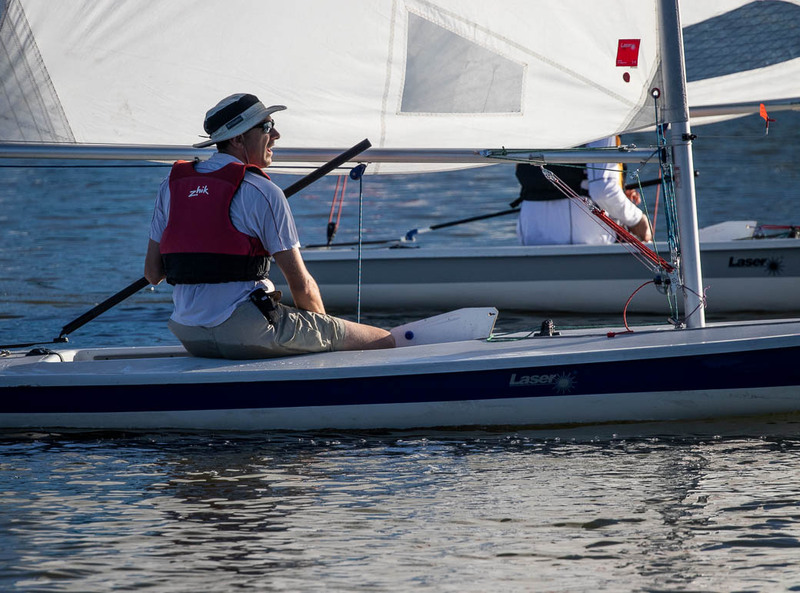 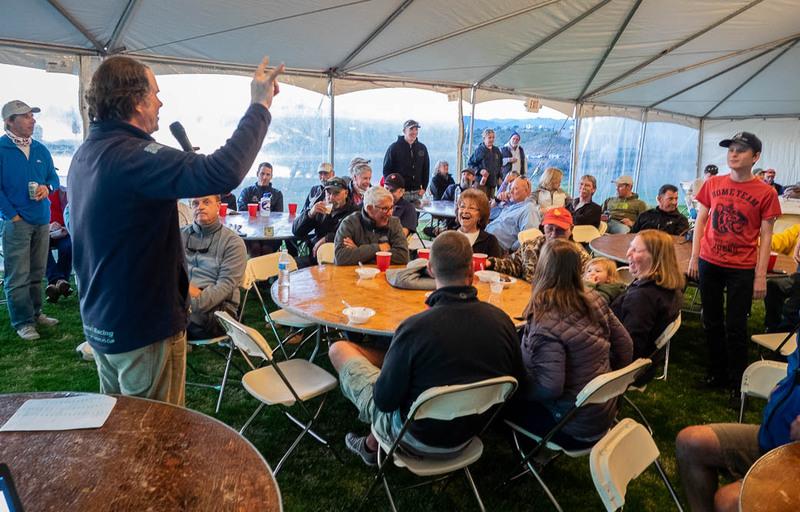 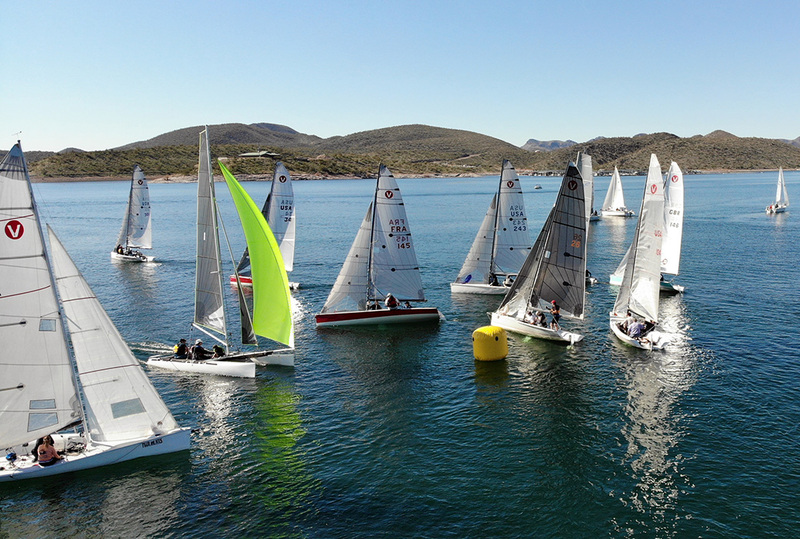 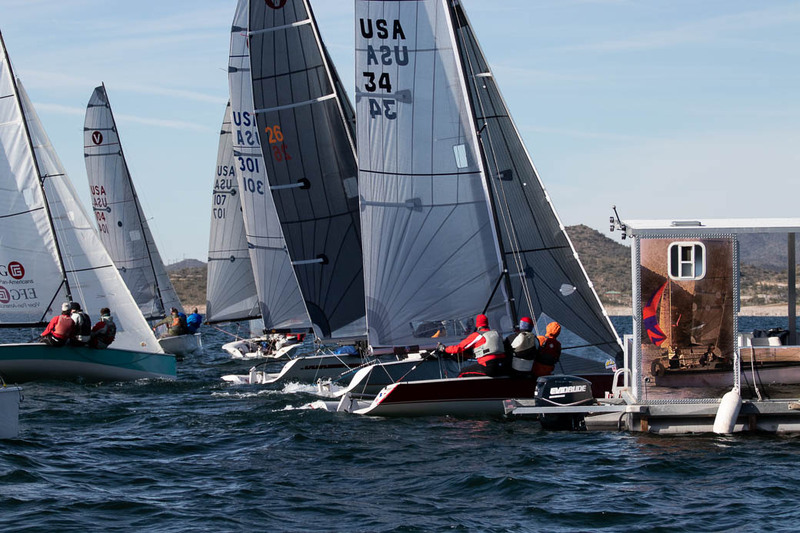 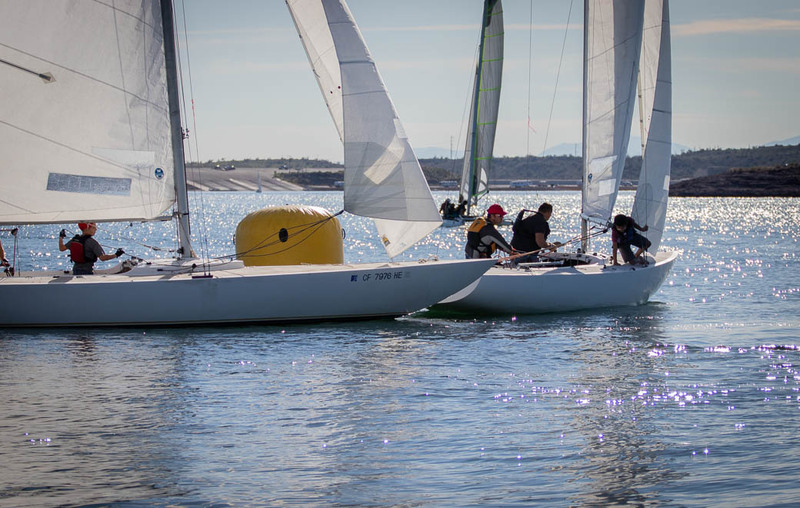 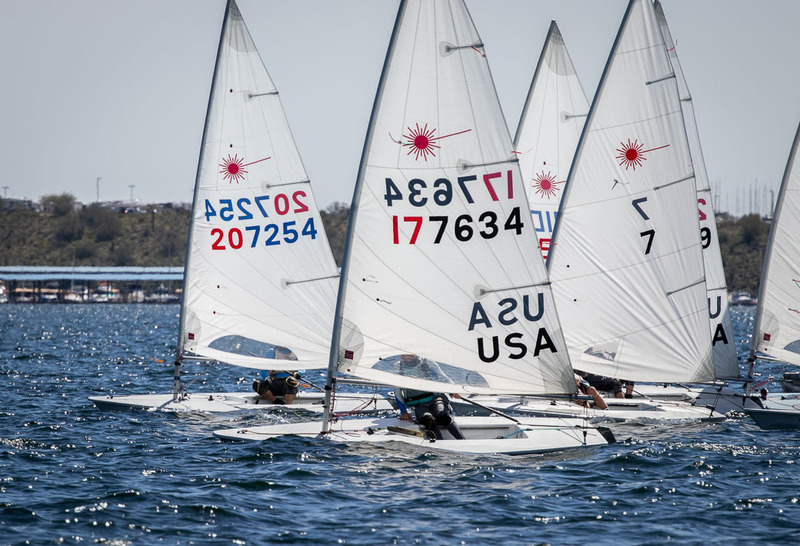 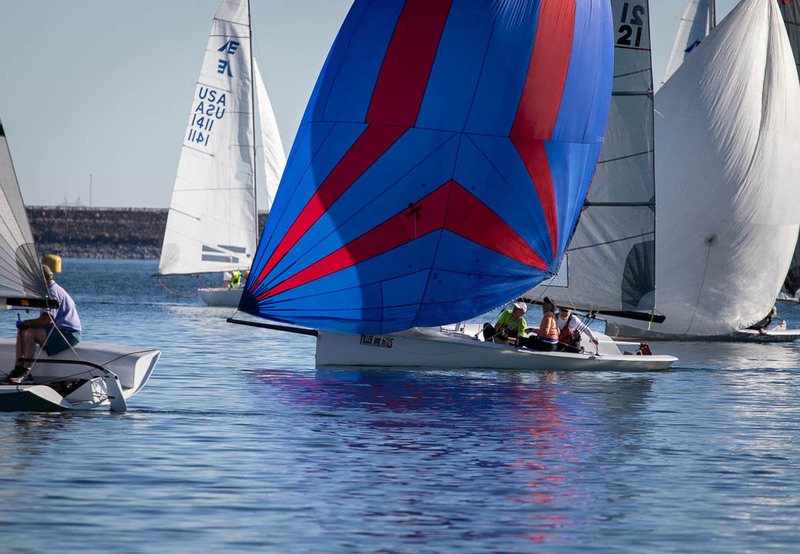 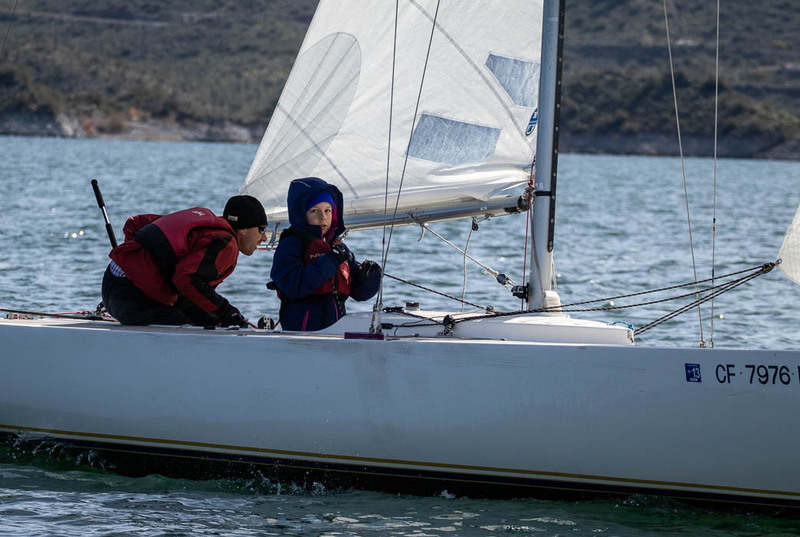 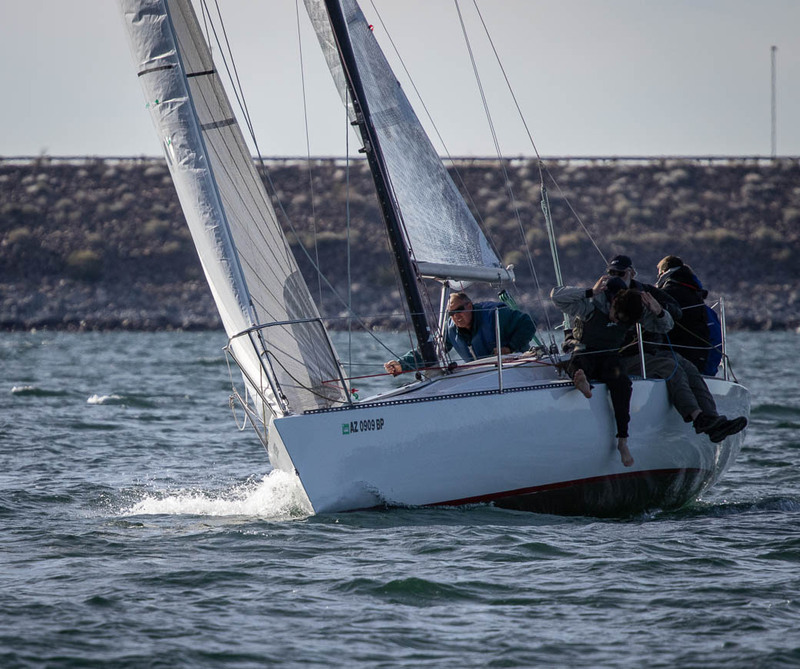 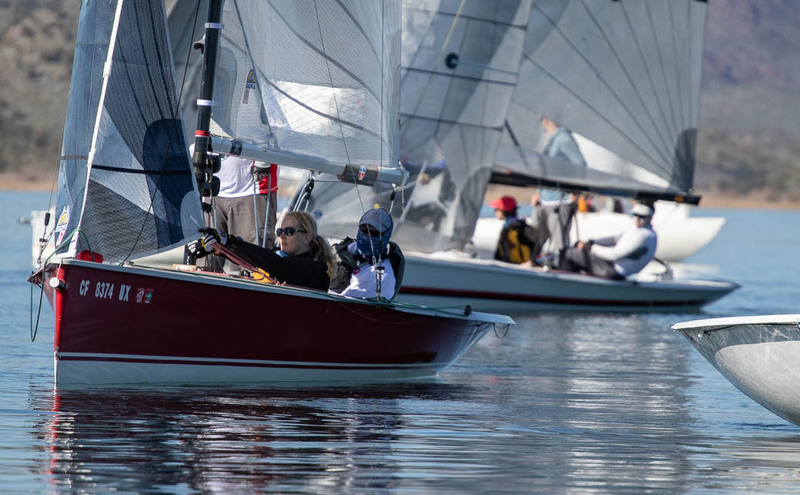 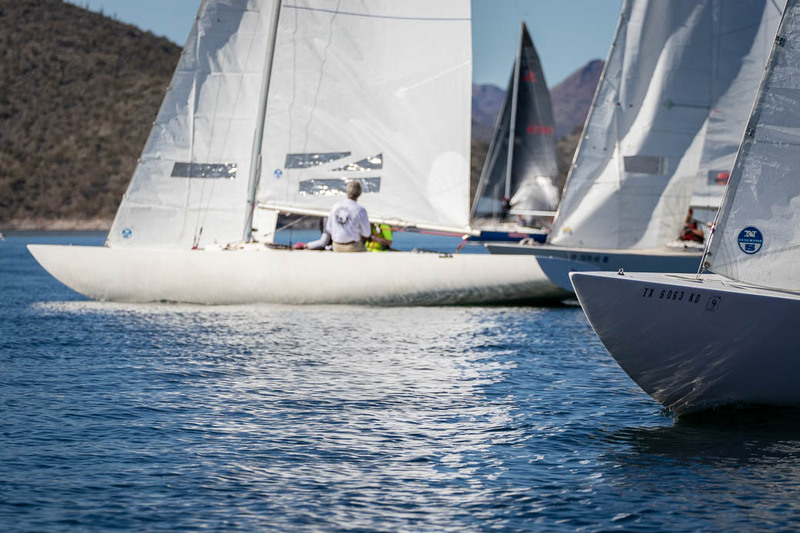 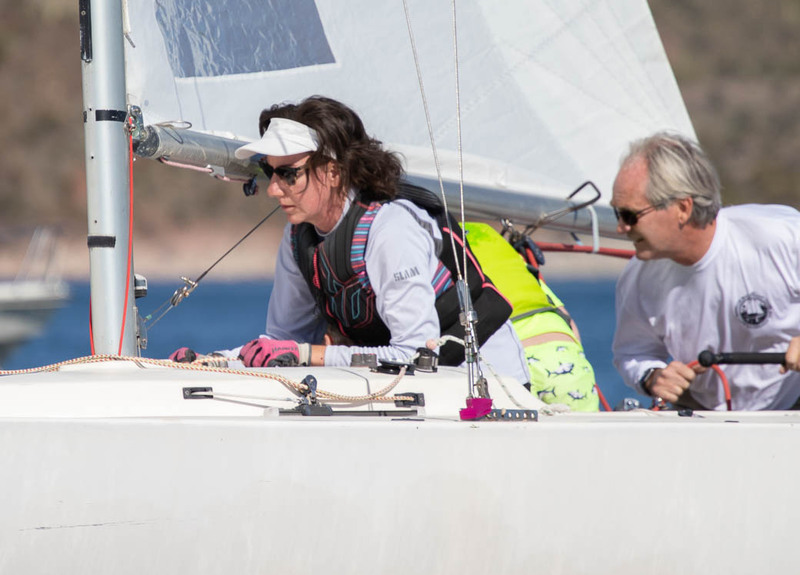 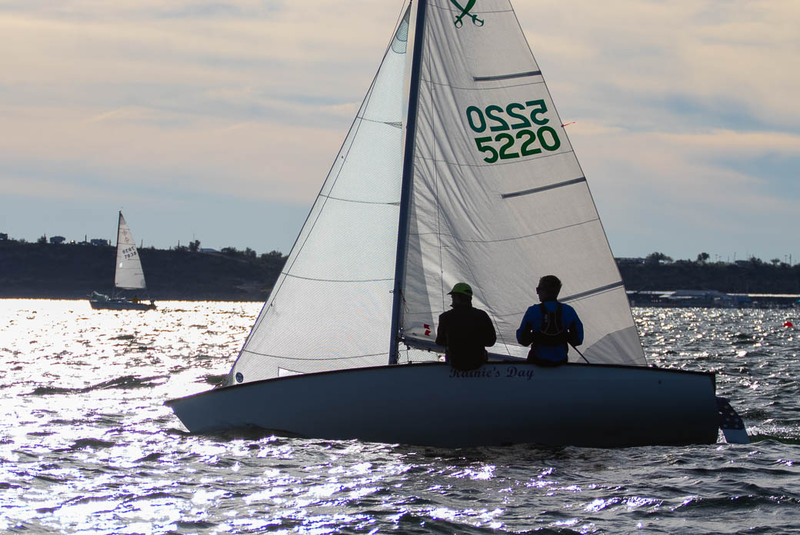 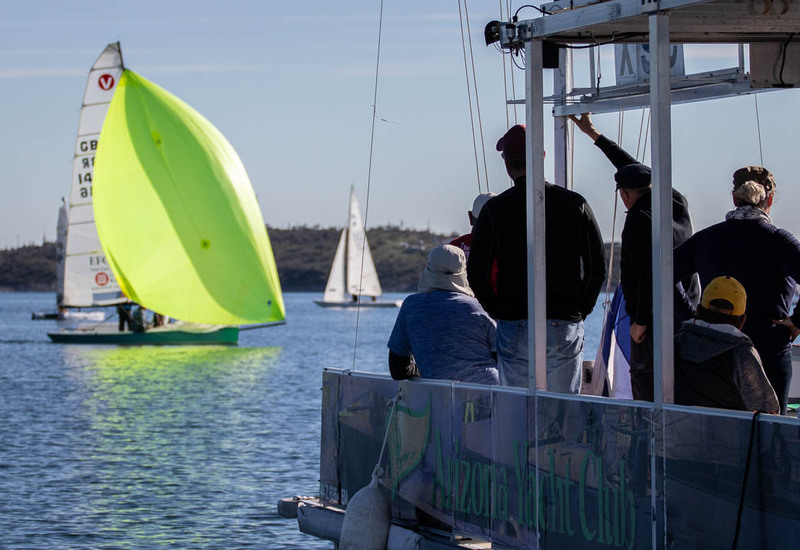 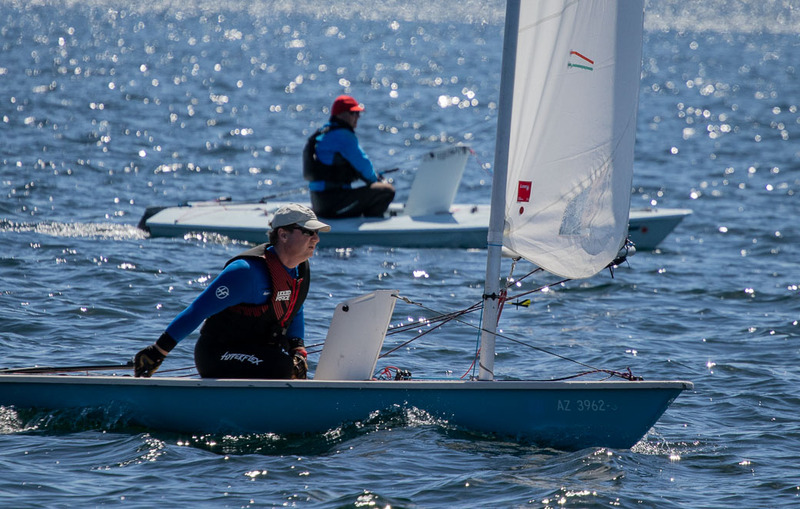 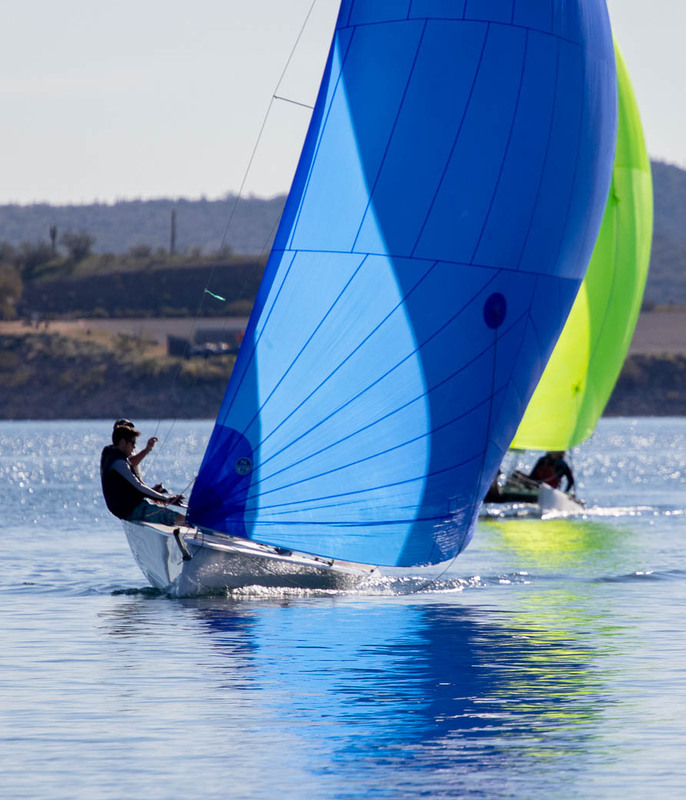 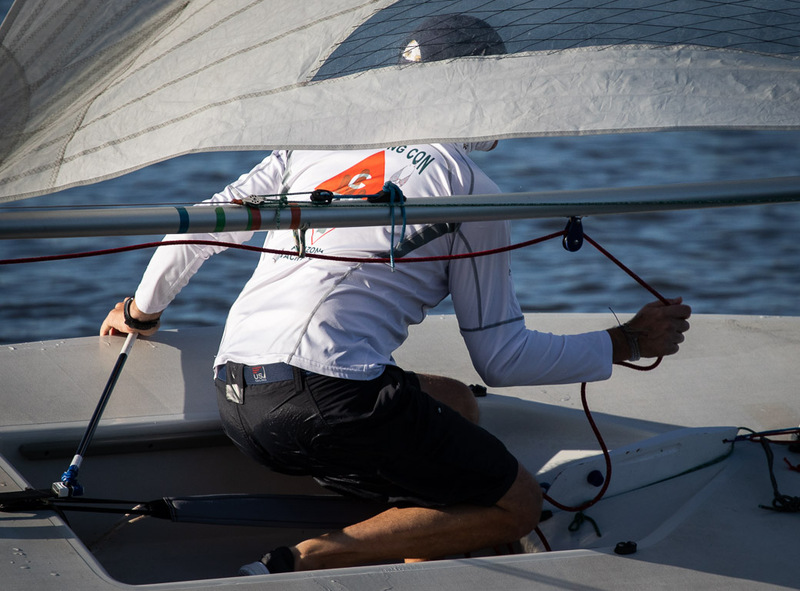 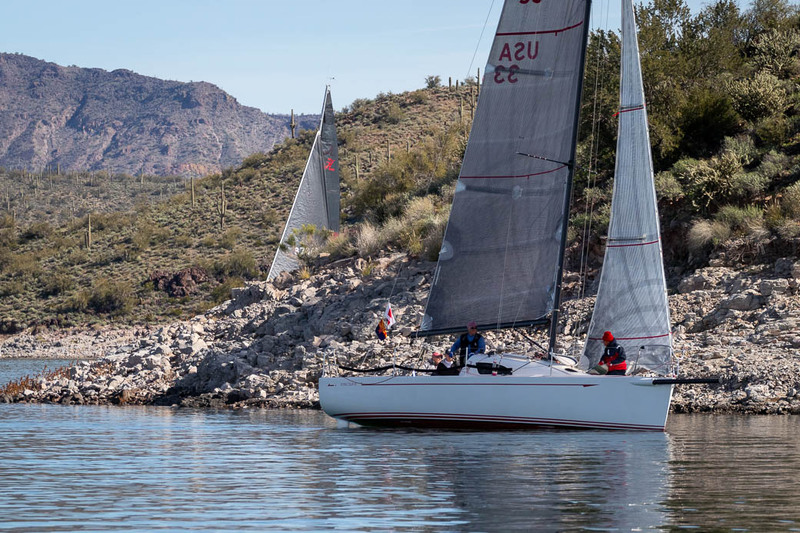 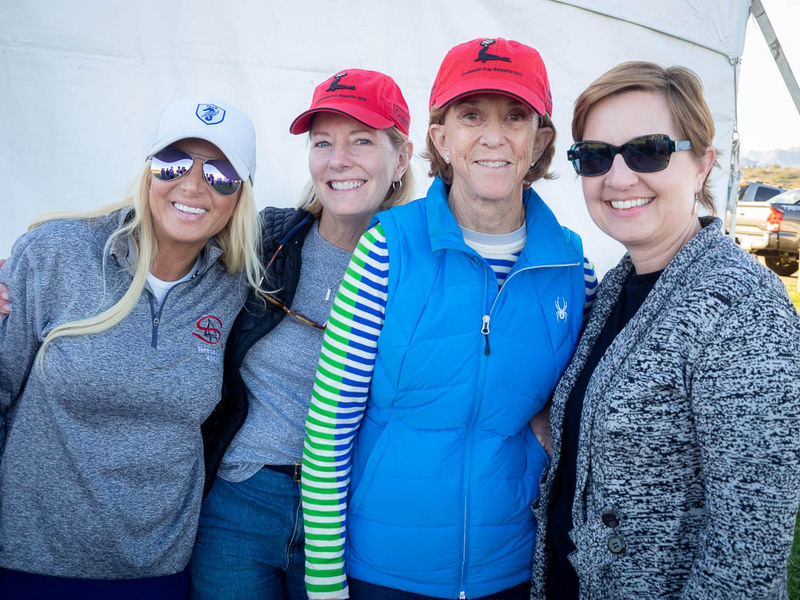 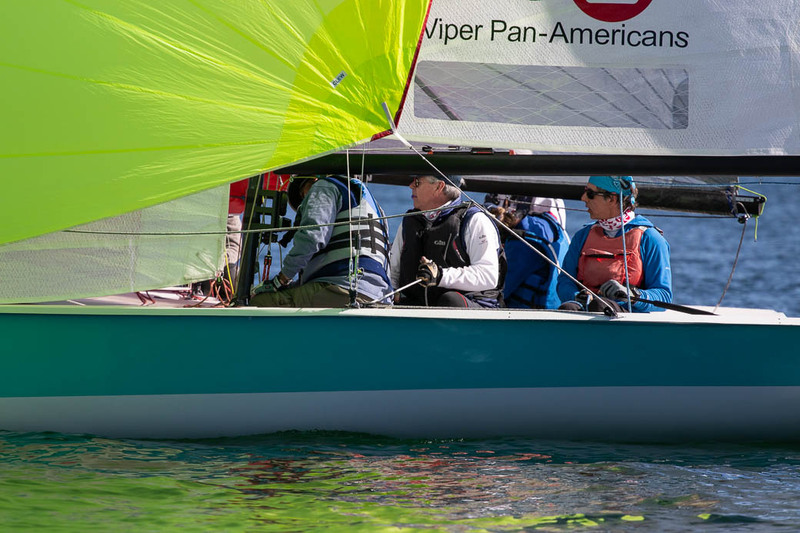 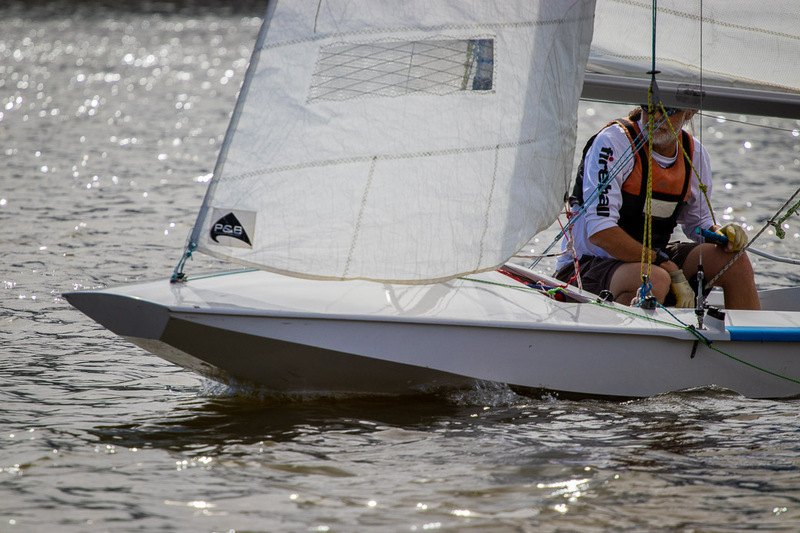 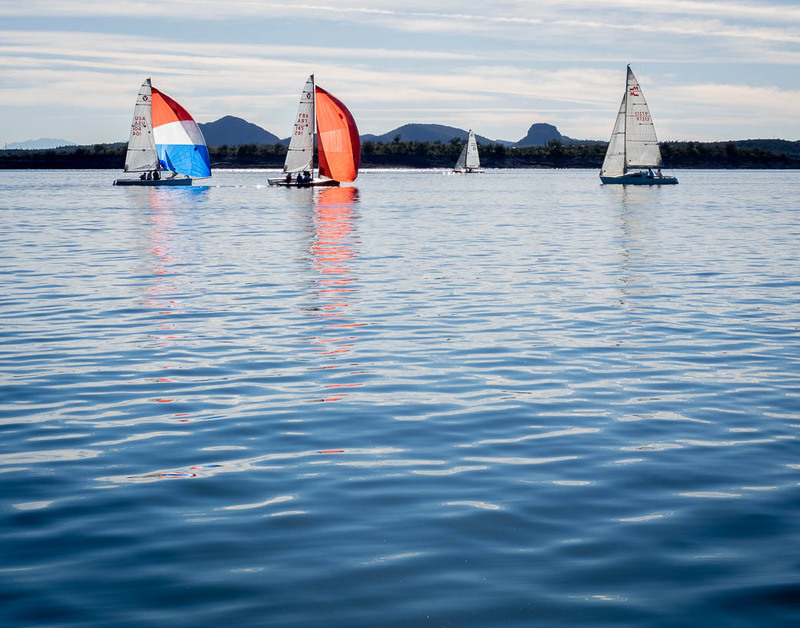 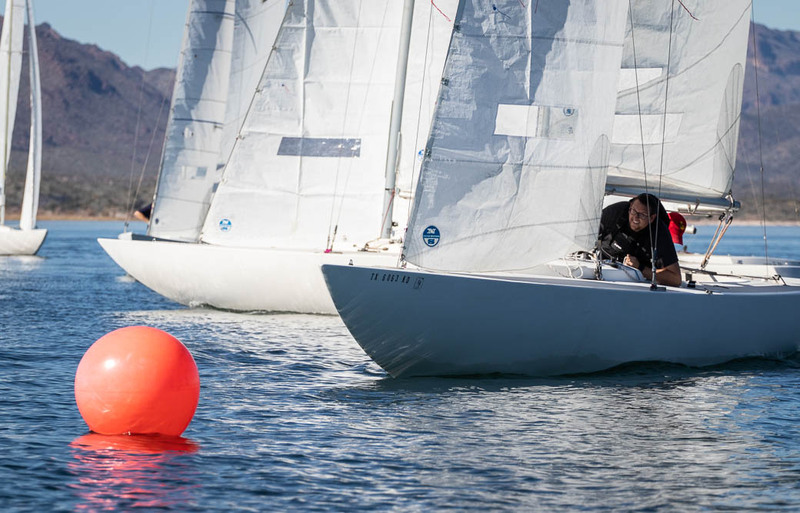 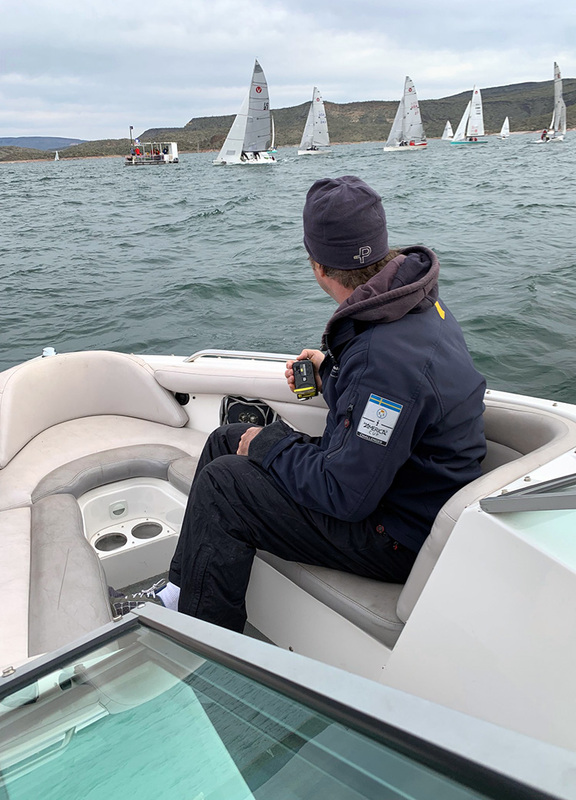 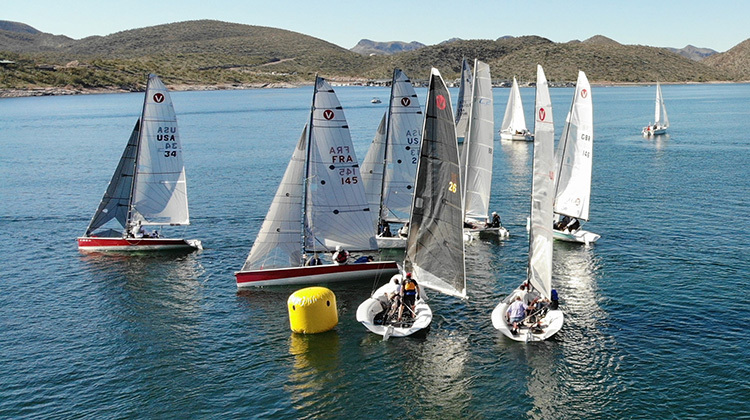 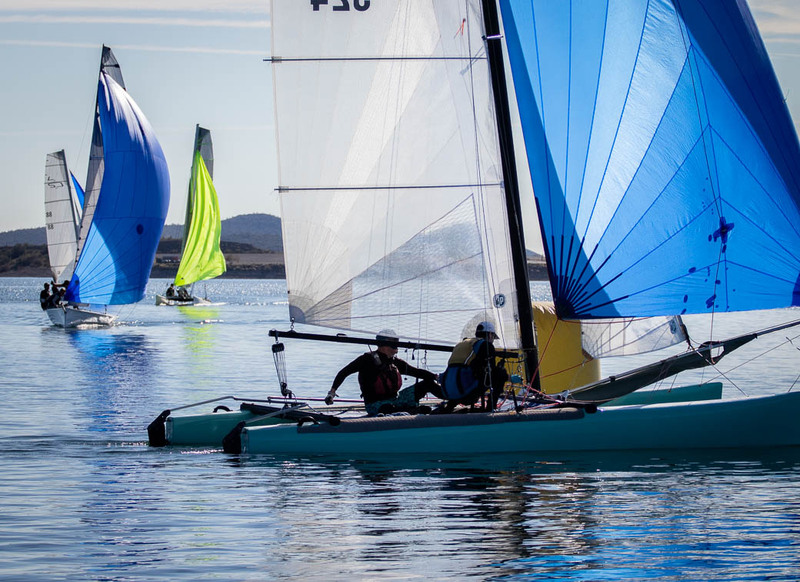 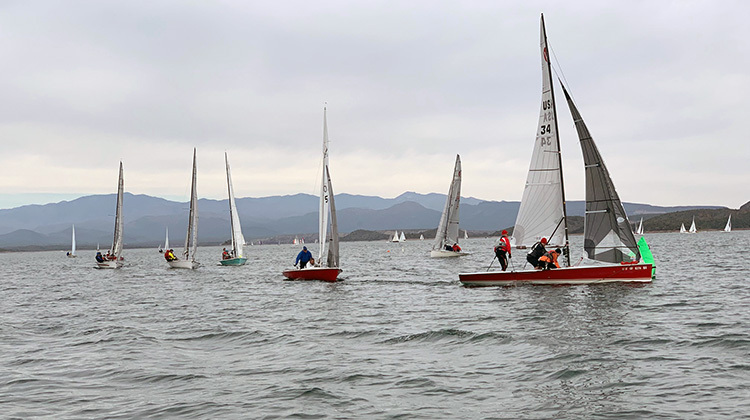 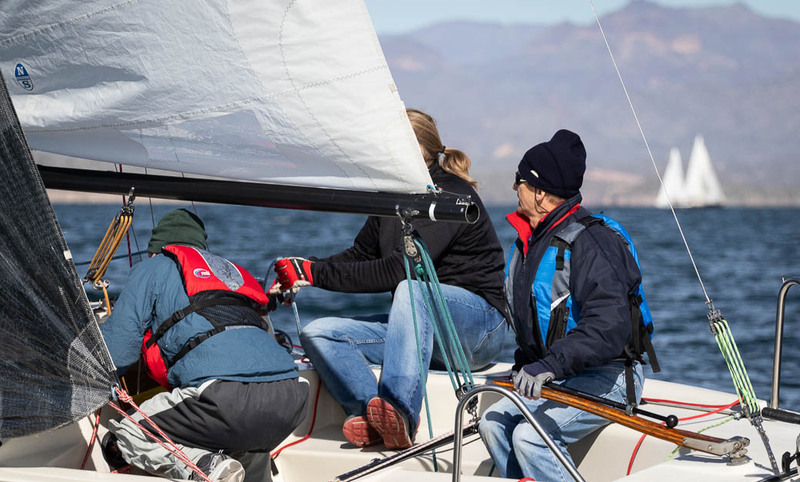 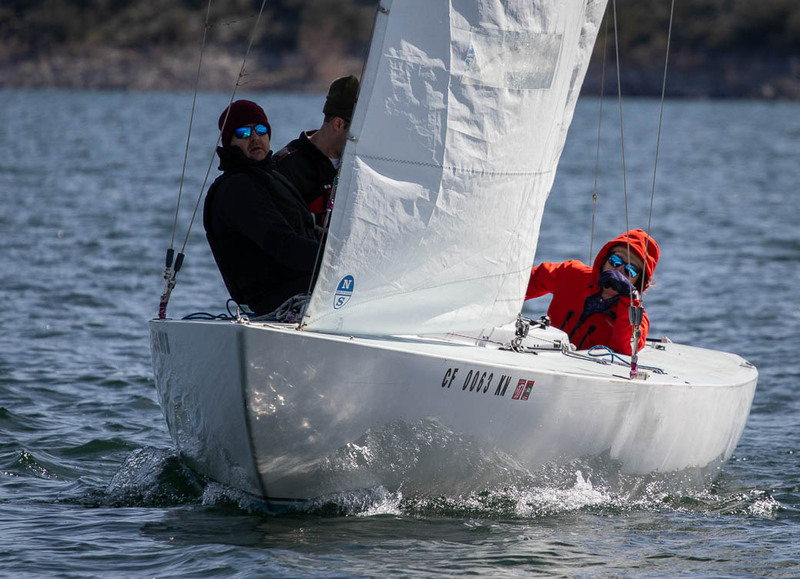 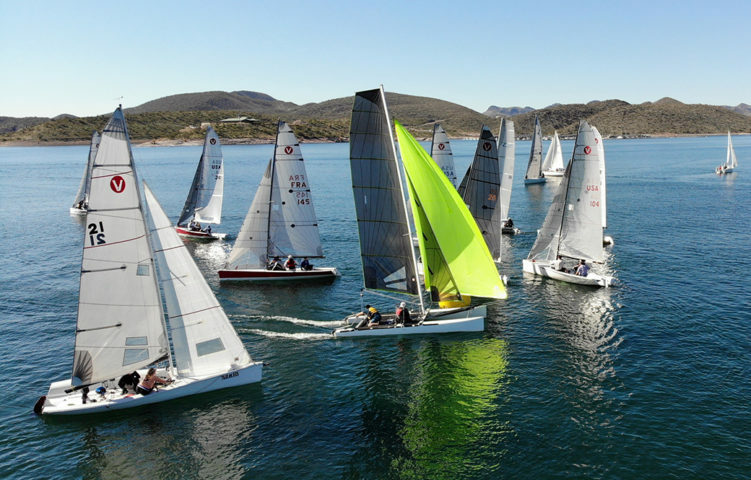 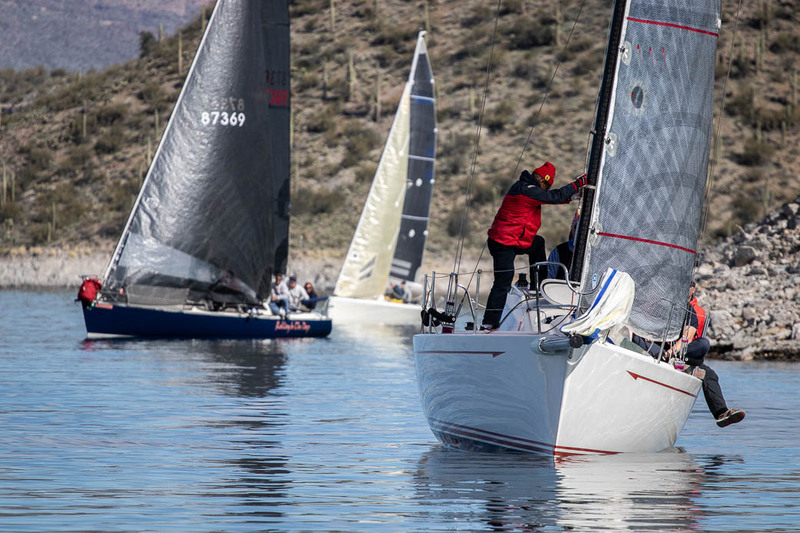 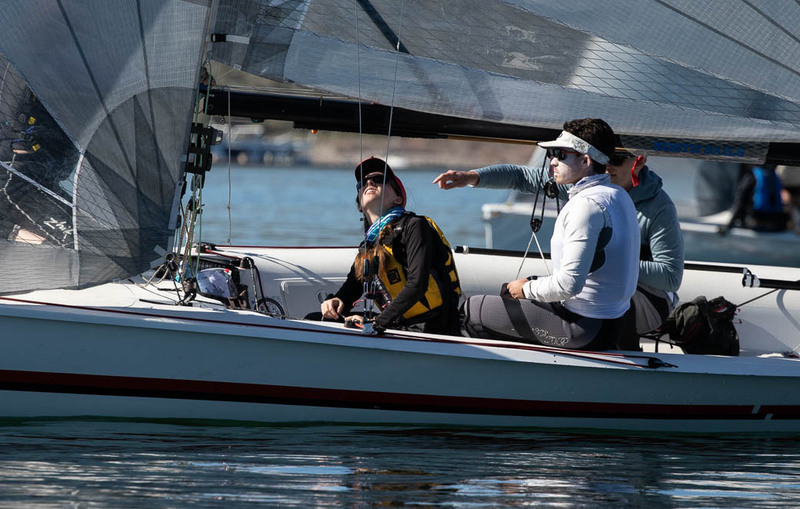 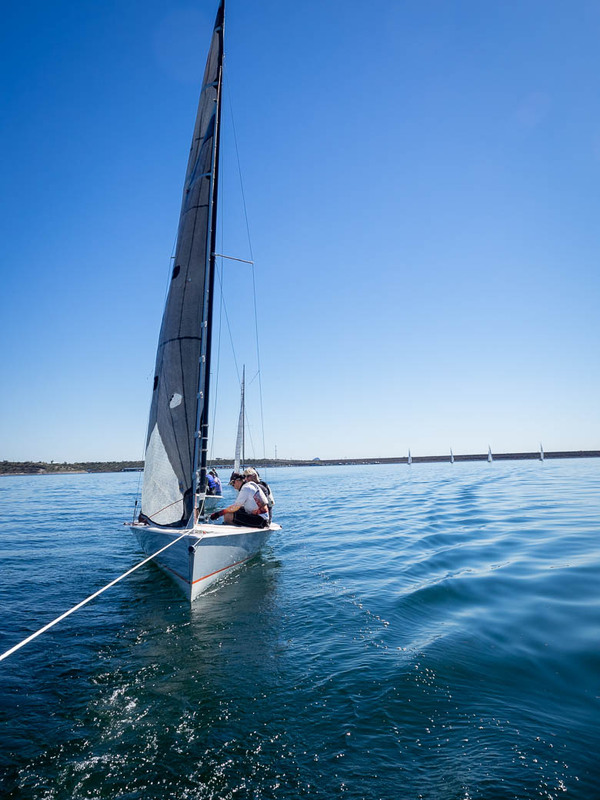 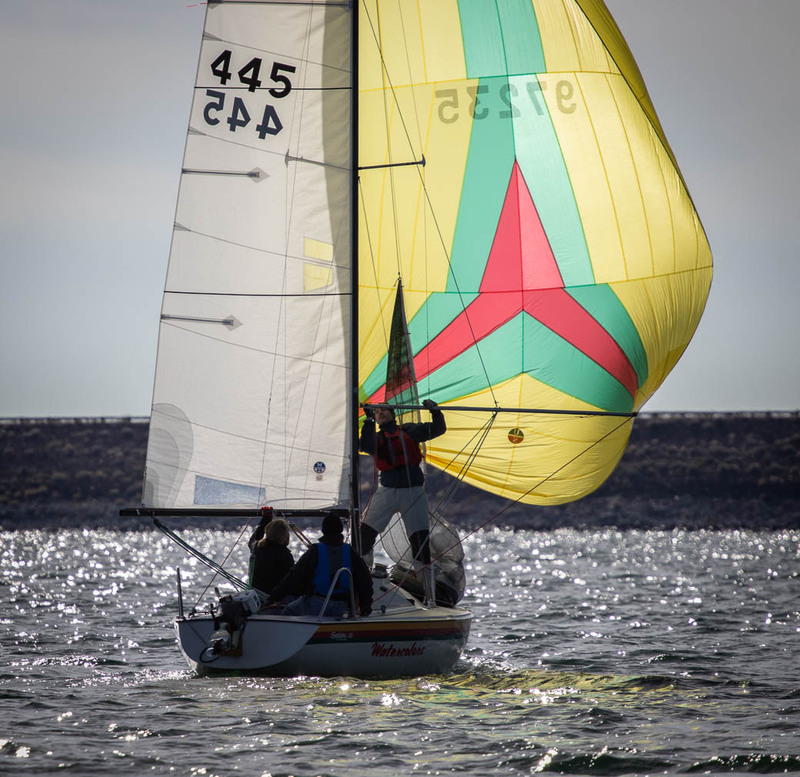 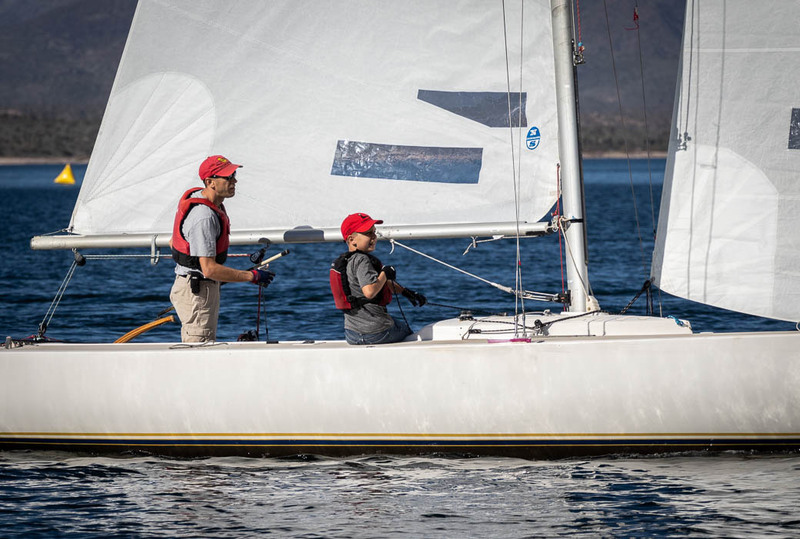 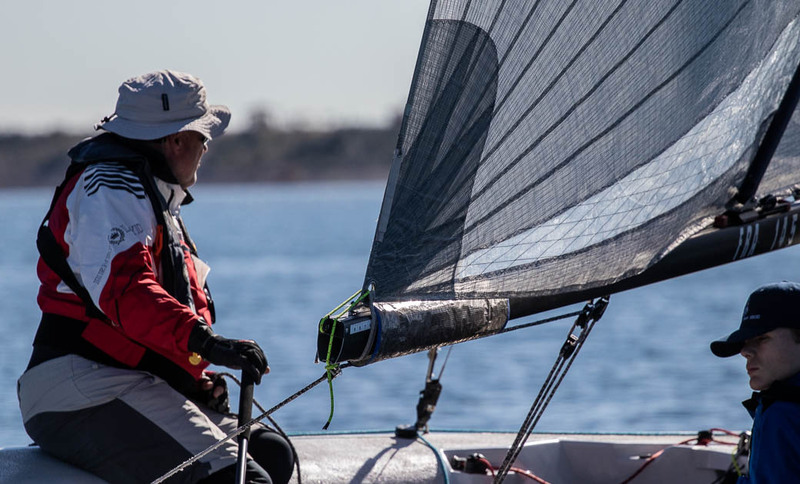 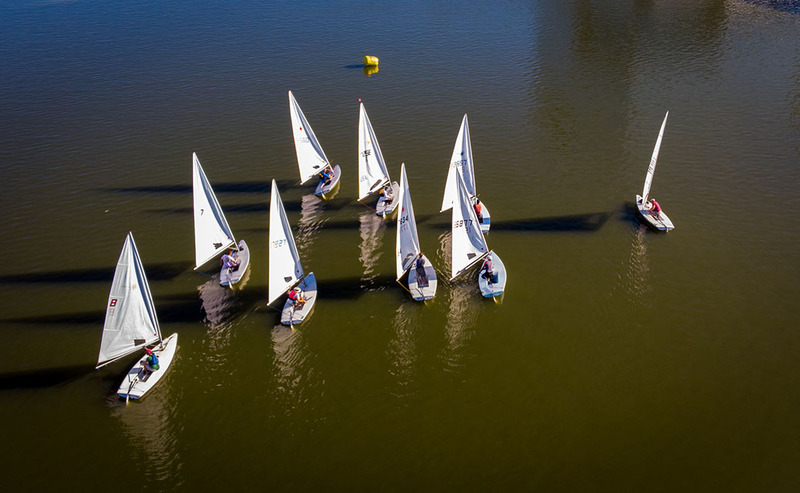 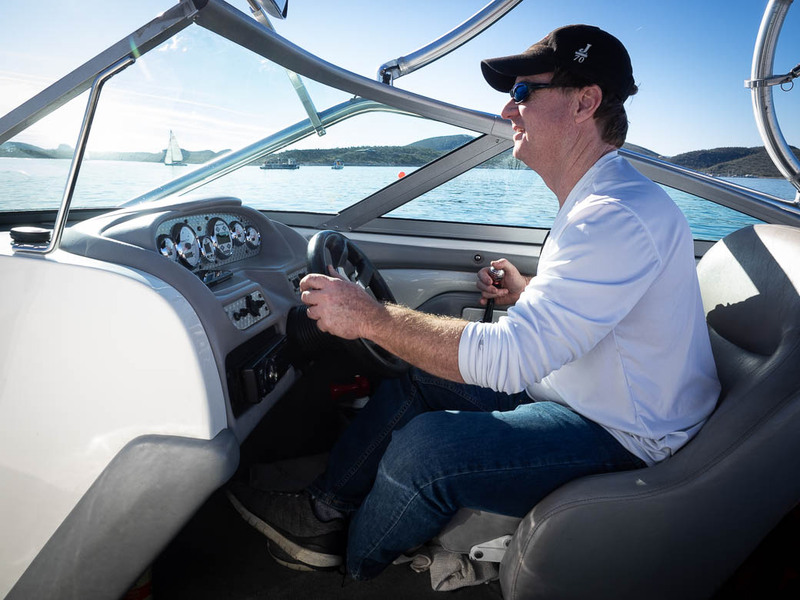 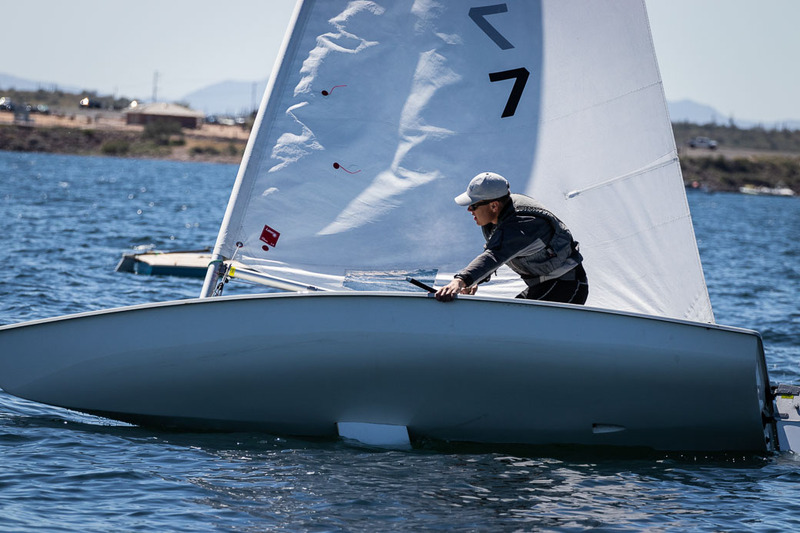 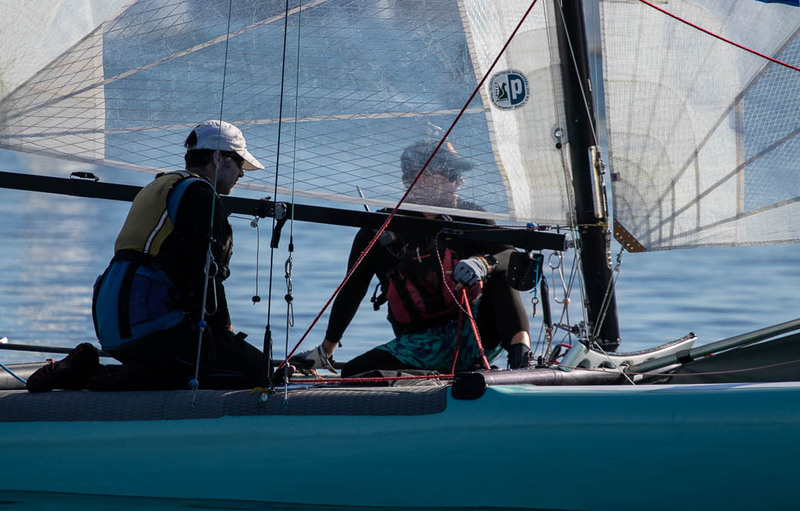 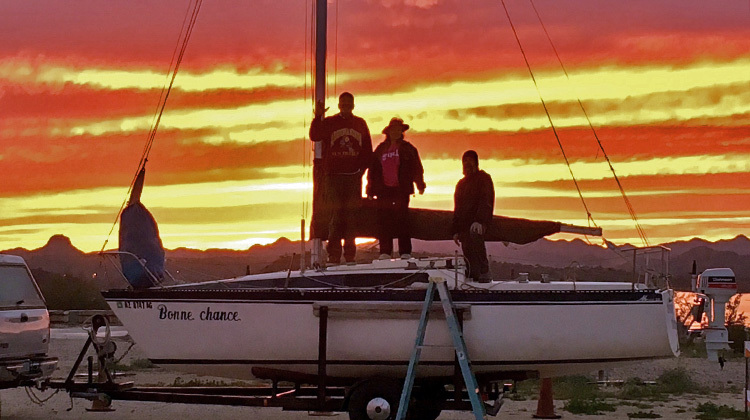 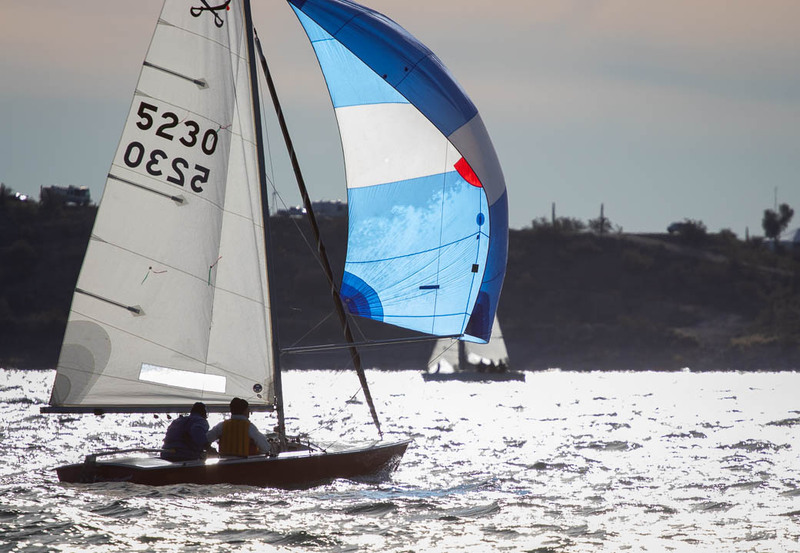 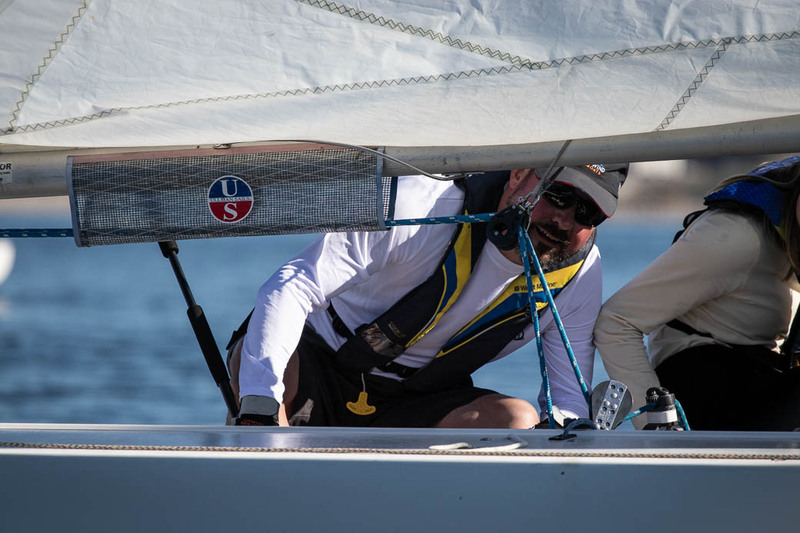 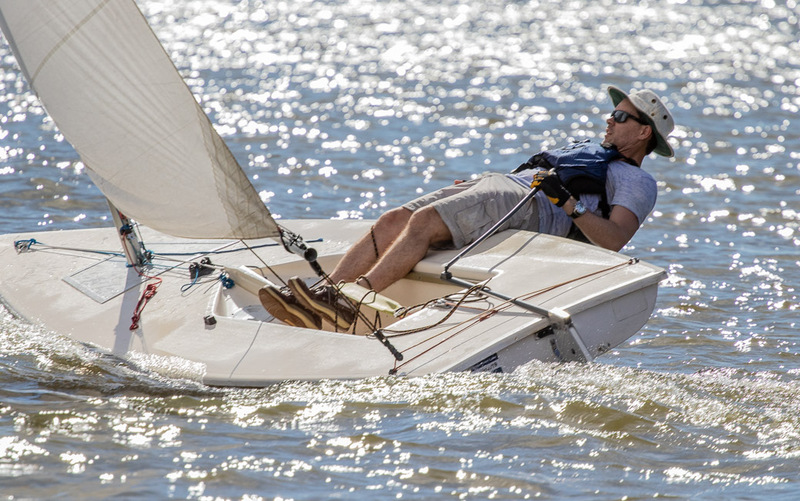 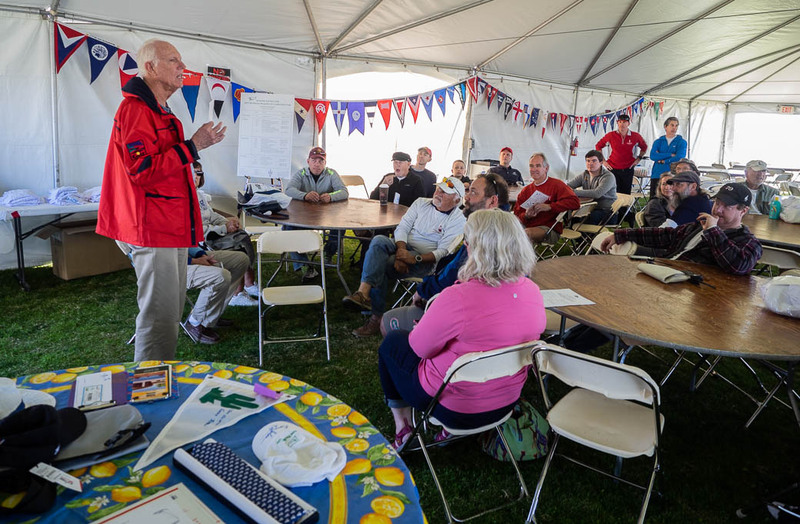 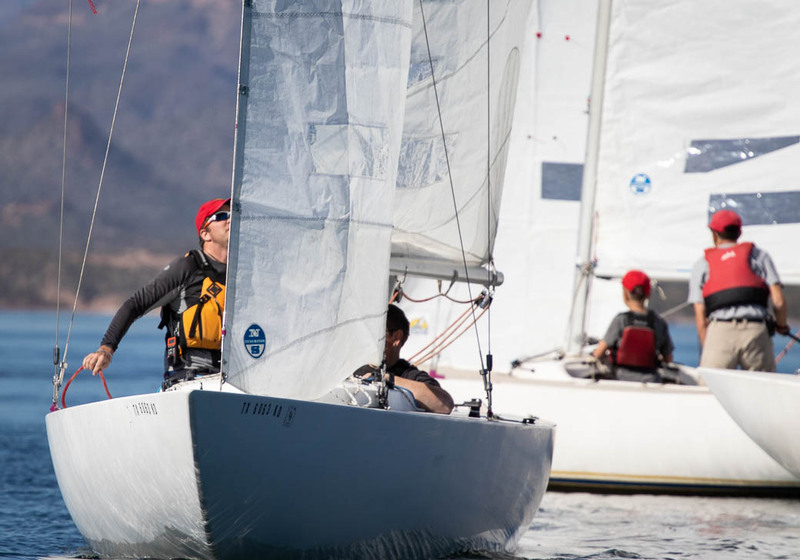 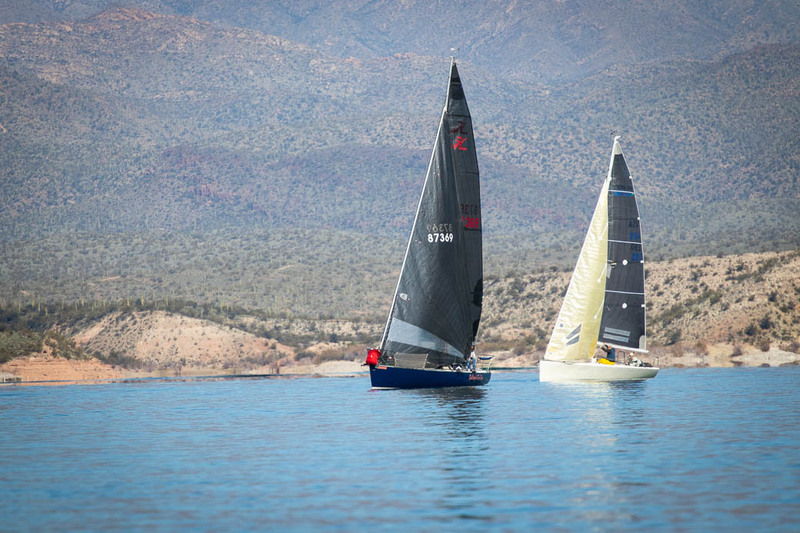 The Laser fleet was stronger than ever this fall, with some 19 boats registered and perhaps a dozen racing each Sunday, bringing contests up and down the entry list. Paul Miachika finished third. 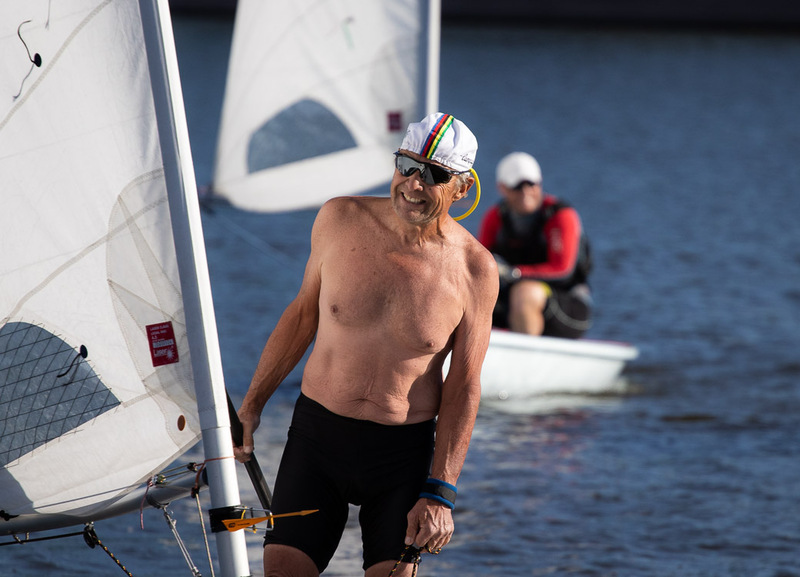 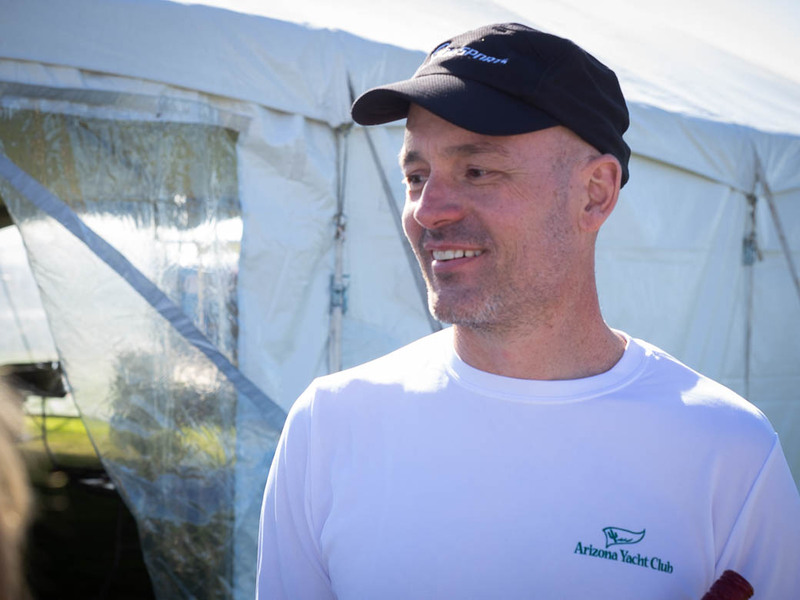 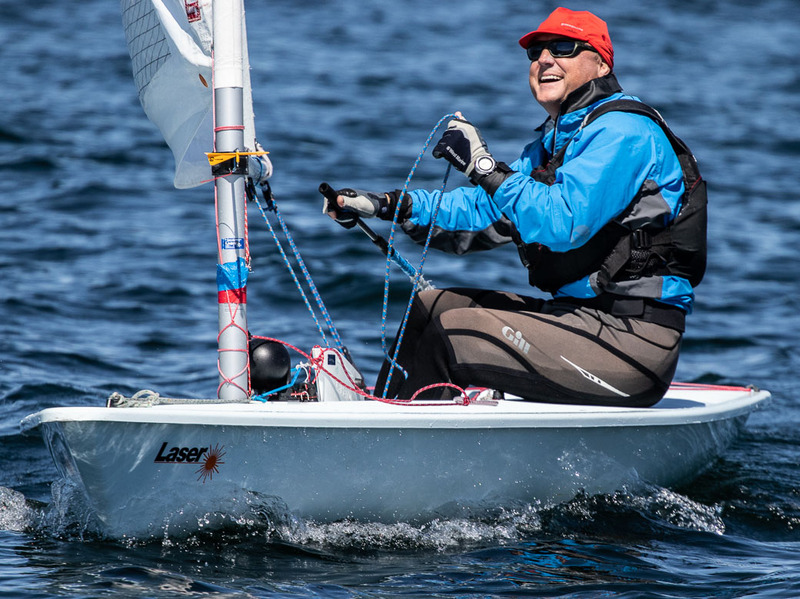 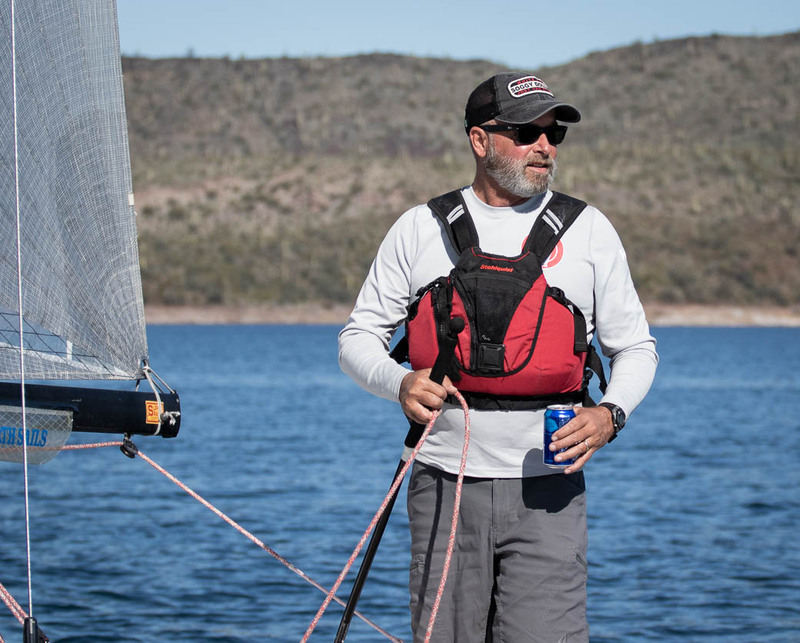 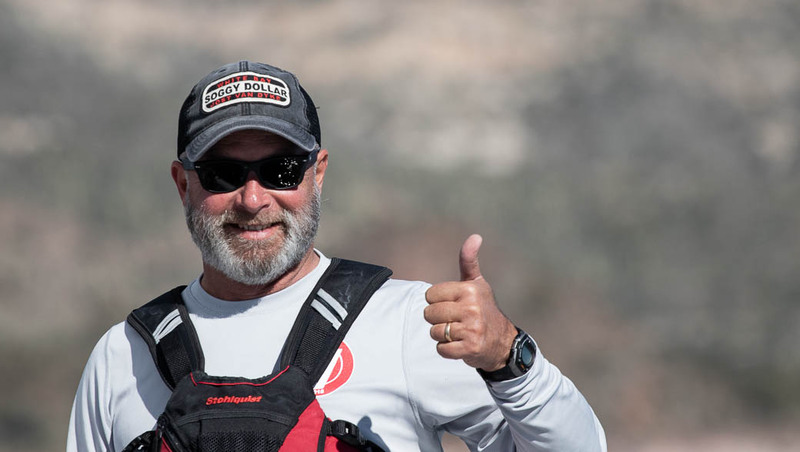 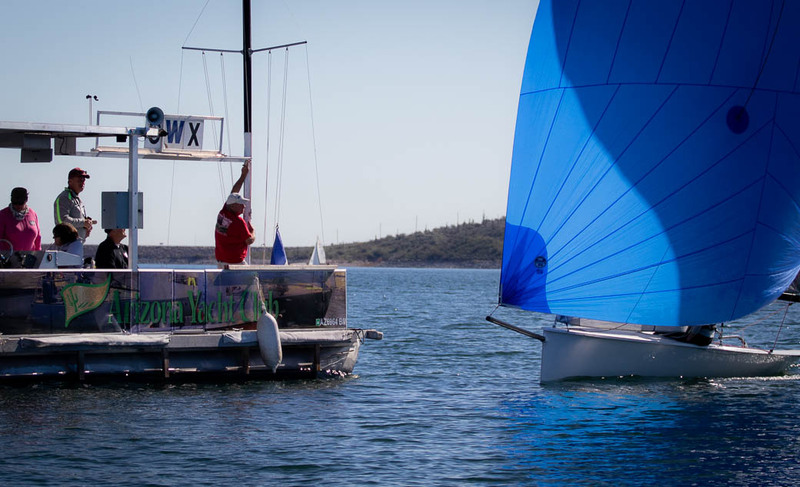 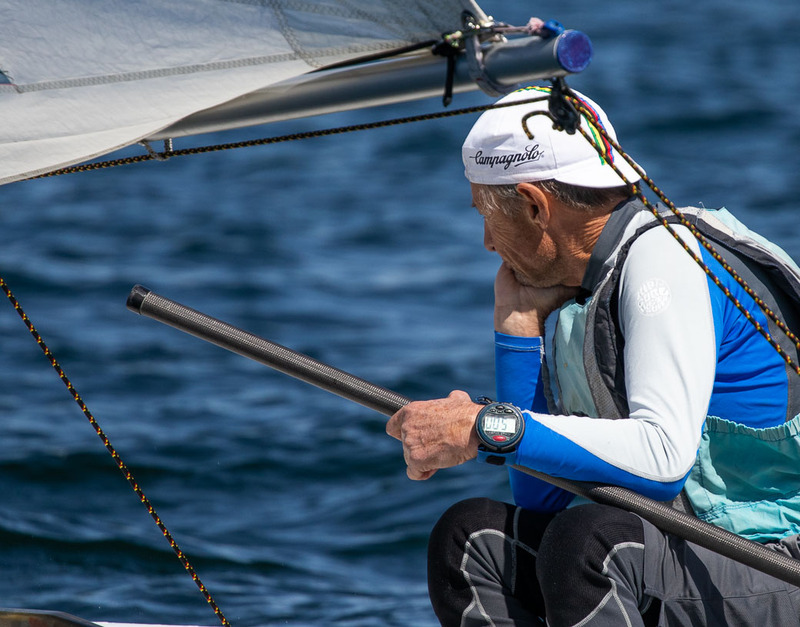 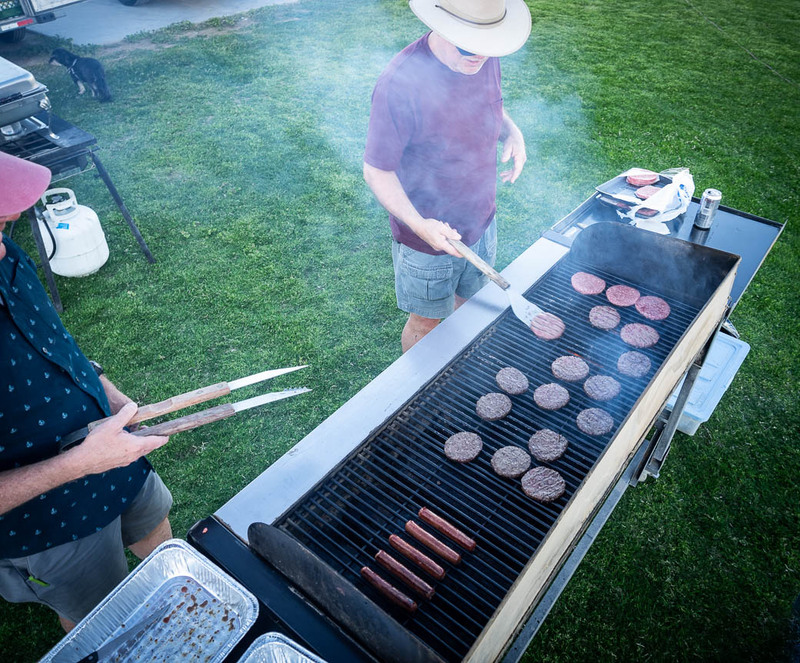 Dave Haggart continued to dominate the 14.2 fleet, but Mike Ferring finished the series strongly, edging John Mayall by just two points for second place. 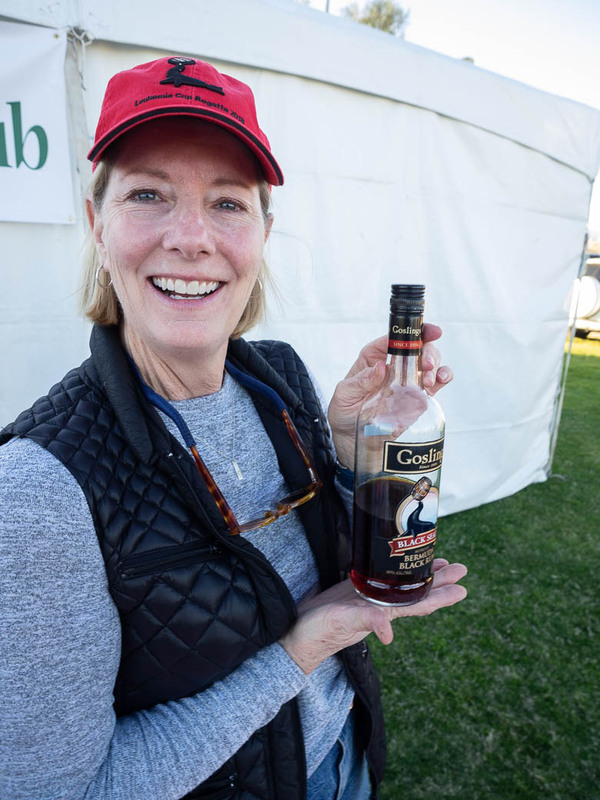 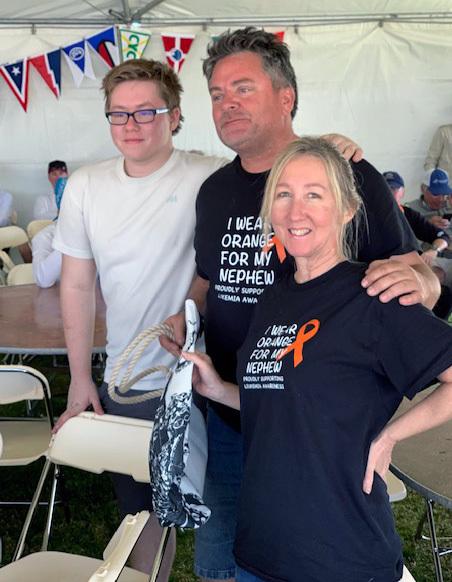 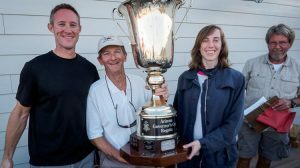 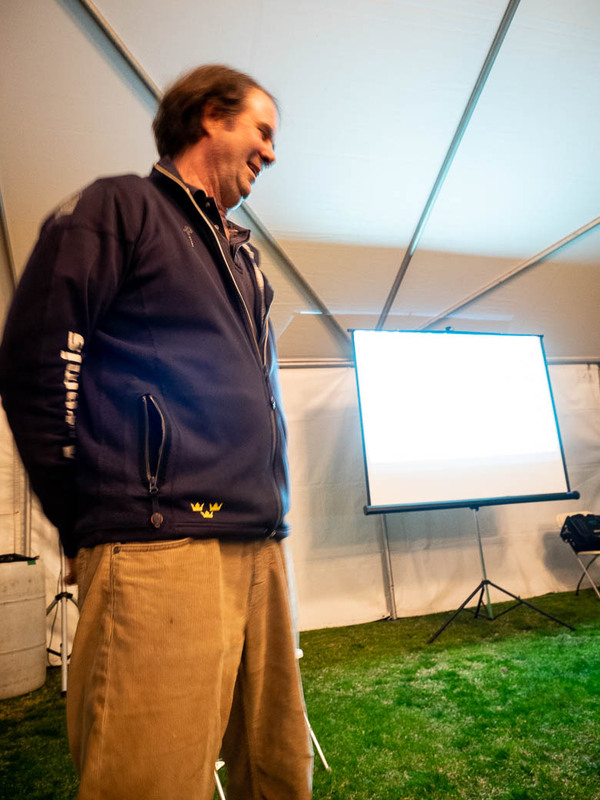 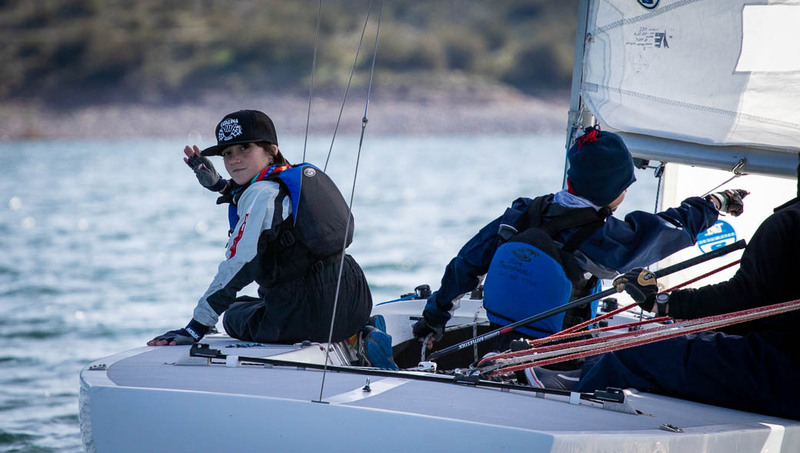 Colin Gibbs won the Junior fleet and Cindy Pillote took the Portsmouth fleet.